All islands have a story to tell. Sarah Loughlin swaps life in Jersey to explore the islands of the Adriatic and find out about Croatia’s history, culture and holiday hot-spots. Sarah snorkeling in the crystal clear waters of the Adriatic sea. 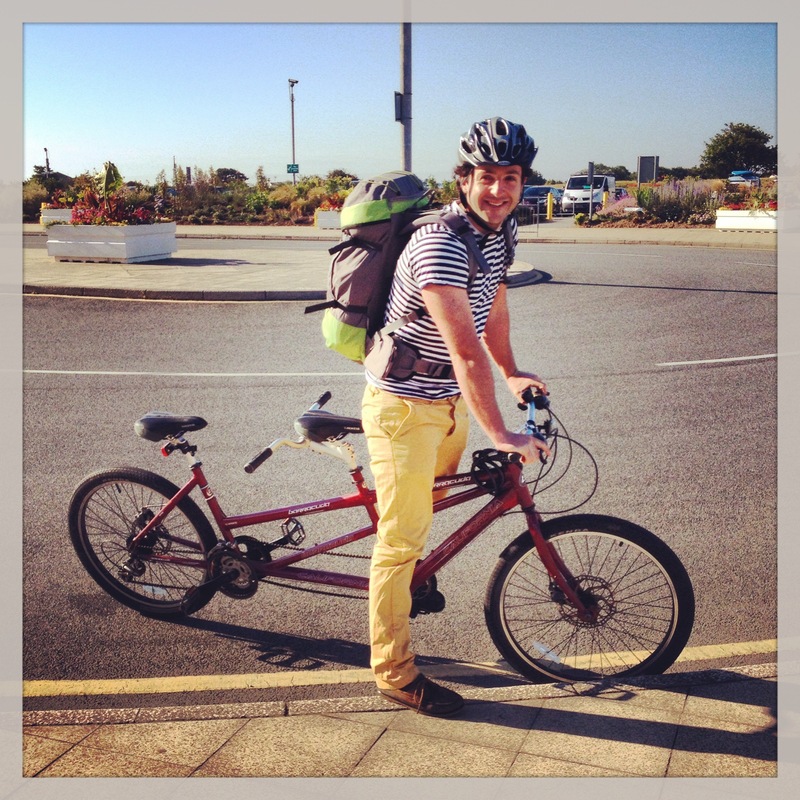 Two Guernsey newbies discover the second biggest of the Channel Islands on a bicycle built for two. Possibly the best thing about a tandem bicycle is that no matter how fast the person in front of you Pedals, they can’t get away. As much as Drew, my boyfriend, and the captain of our tandem, might have liked to as I sang the chorus of A Bicycle Built For Two on repeat. We had picked up our tandem bike, fondly named Barry, at the airport. After a quick coin toss to see who would have to steer it, we set off. It was our first time on the island and from the moment we landed, with no airport queues or passport control, I knew we were going to get along with the place. With my face pressed firmly into Drew’s backpack, I couldn’t see a thing, It was a strange sensation peddling but having no idea what the up coming road was like. There was almost something quite relaxing about pedalling, but not having to worry about navigating the country roads. Our first port of call was the campsite, flying over to Guernsey from London and packing only as much as we could fit in our backpacks had meant we couldn’t take a tent or camping equipment. That is not a problem at Fauxquets Valley Campsite, which is about 10 minutes ride from the airport. 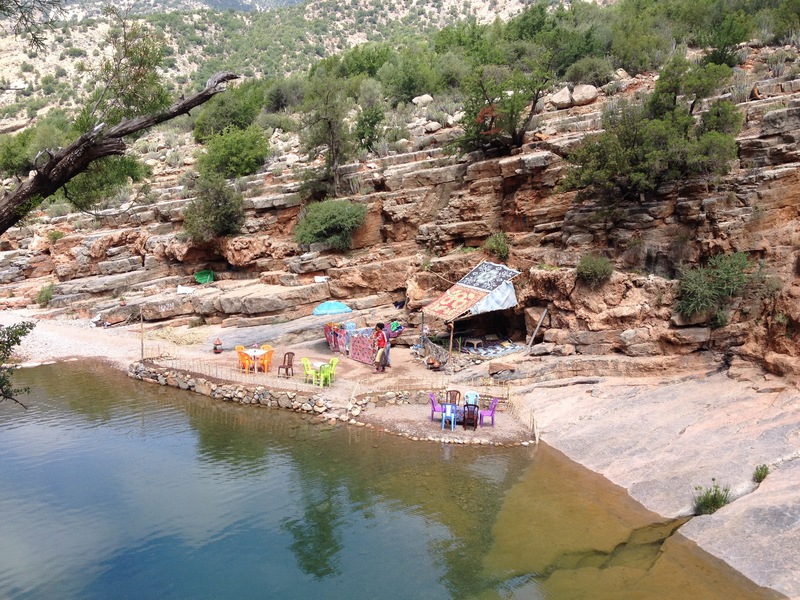 Started in 1974 as a family business, the campsite runs between May and October offering pre-made tents, which they call Hire Tents, equipped with cooking facilities and proper beds with bedding included. The campsite owners, Teresa from Wales and Roland from Guernsey, met in the French Alps about 10 years ago and took over the campsite from Roland’s parents in 2008. Fauxquets is ideal for families or couples alike, with a heated swimming pool and farm animals for the children; and a relaxing sun terrace and bar area for the adults. This campsite has full facilities, and they really have thought of everything including ironing boards, irons and free hair driers. They offer pizza and BBQ nights, as well as a small farm shop and cafe where you can pre- order fresh bread and pastries. Once we had dumped our bags in the tent we set off to explore the Island. Back on the tandem, we had got the hang of getting the bike going with only a few hiccups, mostly at traffics lights with long queues of friendly islanders behind us chuckling to themselves. I had decided to captain Barry for our second trip, but I was starting to regret it. I had never noticed before but Drew has a rather unique way of cycling which involves his entire body in a strange wiggling motion that starts somewhere around his shoulders and somehow results in the bike moving. This did not bode well with him as the passenger on the tandem, as he wobbled like jelly inadvertently steering the tandem from the back, more often than not into an on coming hedge. Our destination was Fermain Bay, about 20 minutes ride from the campsite. As we approached the beach the road got very steep so we abandoned poor Barry at the top of the hill and continued on foot. After about 15 minutes the woody path opened up into a beautiful bay with the bluest sea I had ever seen. The contrast to the pebble beach, the cliff face and the leafy trees that topped it made it all the more impressive. Dumping our stuff by the sea wall we walked out to the water. 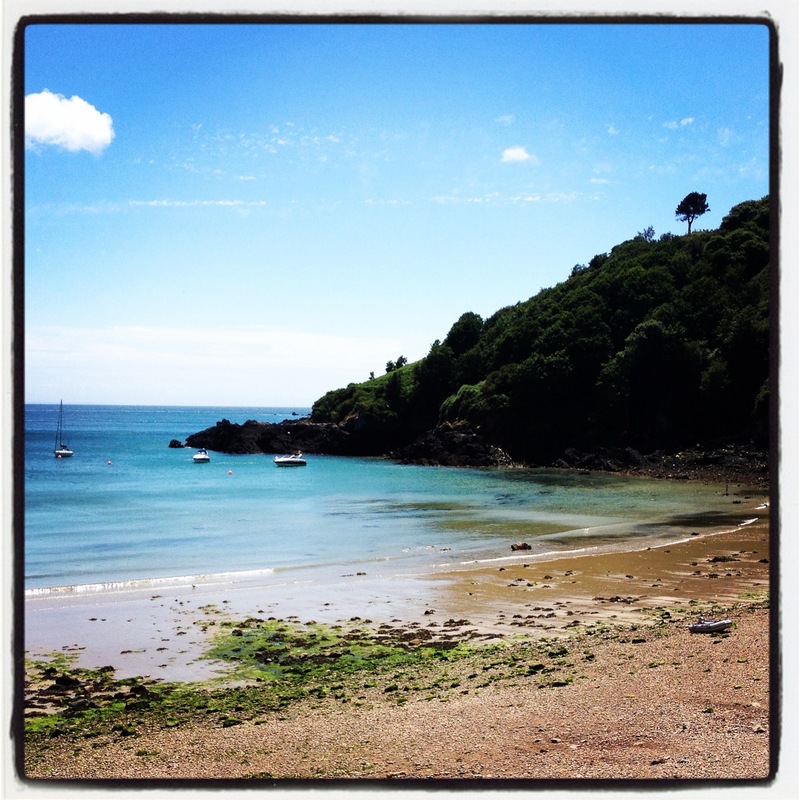 Guernsey has a lovely atmosphere, everyone is friendly and even on a warm summers day the beach was not crowded. It’s also a great place to cycle because cars and their drivers seem very easy going and are very courteous. I noticed this not only when on the bike but when crossing the road as well. No one really seems to be in a rush, which is nice. Even the bus drivers waited patiently behind the tandem as we trundled up the hill. Heading back to the tent for dinner we stopped off for some ‘hedge veg’ from one of the many veg stalls in people’s front gardens dotted around the island. They sell home grown produce and have honesty boxes for payment. The peppers and courgettes we picked up were a fantastic accompaniment to our campsite feast. Back on the plane again I felt the trip had gone far too quickly. ‘Gosh, my legs are so sore!’ Said drew as he gingerly settled into the plane seat. Doing a quick mental check of all my limbs, they seemed to be fine. Perhaps I wasn’t peddling quite as hard as I thought on those long old hills! Getting there: If you fancy a break but don’t want to travel too far – go to Guernsey on your next trip for a bit of sun and a break from the norm, flights take less than an hour and start from roughly £50 return. Sarnia Cycle Hire offer a tandem with drop off and collection from the airport for £26 per day or £80 for a week. Fauxquets Valley Campsite Hire Tents from £55 per night based on two adults sharing. Sarah Loughlin explores the best campervan destinations to visit in France this summer. Get Me Outta Here! The March Edition. Sarah Loughlin hunts down the best travel deals for holidays in March. Person A spends March complaining HR are insisting they take their remaining days off, even though they have far too much work to do (they will almost definitely come into the office on at least one of these ‘days off’); while Person B wishes March away staring longingly out of the office window and browsing last minute holidays that they can’t go on, trying not to throw office supplies at Person A. Flights from London Stansted to Stockholm Skavsta are just £50 return for next weekend. The bus from Skavsta airport to Stockholm takes 1h20 and costs £21.50 return; you can book your ticket in advance. The weather in the next few weeks doesn’t look too cold but it can get down to below freezing at this time of year so take lots of layers! There are many different types of accommodation in Stockholm to fit every budget. For a quirky cheap get away why not stay in a prison cell! This hostel set up in an old prison is not ideal for couples because there are bunkbeds, but is definitely a quirky way to spend a weekend! And is great value, working out at roughly £75 per person for three nights based on two people sharing a cell with a private shower and toilet. If you don’t fancy bunk beds or just want to treat yourself why not upgrade to a double cell in the hotel part of the prison, £175 per person for three nights including breakfast. Both the hotel and hostel have good reviews on TripAdvisor. If it’s not too chilly take a walk around the the old town (Gamla Stan) and maybe visit to the Royal Palace. There are guided tours of the Palace from Tuesday-Sunday between 11am-3pm included in the price of your ticket (£12), check out the website for more details. The Vasa museum was my favourite part of our Stockholm trip; it houses the 17th century warship ‘Vasa’ which after sinking on her maiden voyage spent 300 years at the bottom of the sea. She is now on display and you can learn all about the history of the boat at the museum. If you have time head to Skansen, which is an open air history museum and zoo; well worth a visit! Although the sun is out there is still plenty of skiing to be had! The snow in La Plagne looks good, with just under 10cm of powder forecast over the next week. for £399 you can stay in the Chalet Vidal for seven nights including flights from London Gatwick, return transfers to resort, and chalet board. Which includes breakfast, afternoon tea and six three course evening meals with wine. The chalet is in Plagne 1800, and is a short walk from the ski lifts. 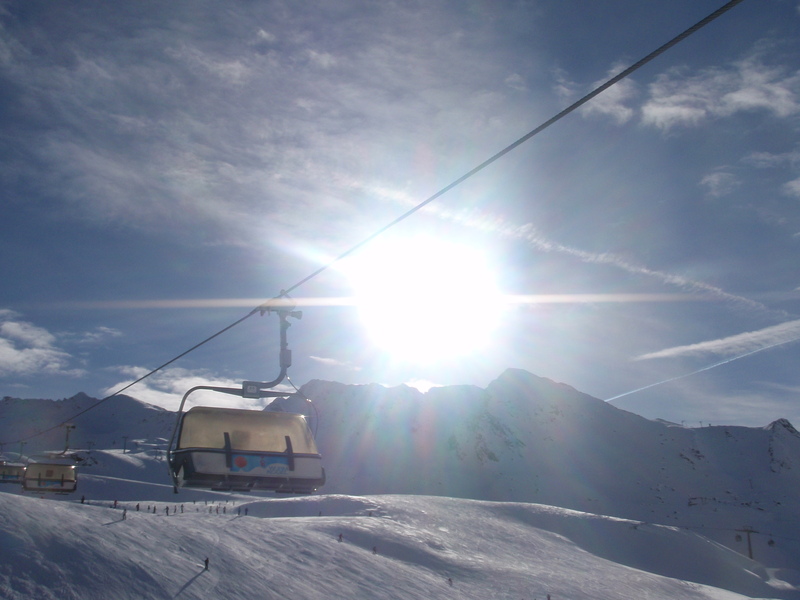 There is currently a special offer for this week which means that for £210 you get an area lift pass instead of a local lift pass, giving you access to the whole Paradiski area, rather than just La Plagne. For a mid afternoon beer on the piste try Bar Fort Colorado a wooden fort on the piste just above Plagne Centre with deck chairs and music playing, ideal for sunny spring afternoons! From where the chalet is in Plagne 1800 you can easily access other villages in resort such as Plagne Centre. Buses run every 15 minutes from 08.30am to 00.50am. So if you fancy a bit of cheeky apres at Scottys you don’t have to worry about getting back to the chalet in time for tea! 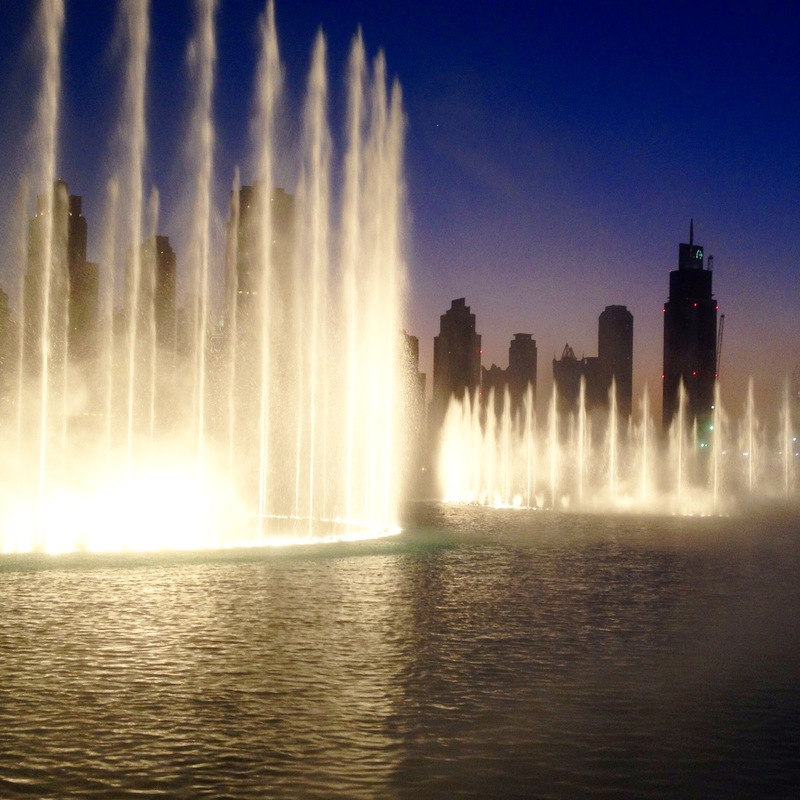 Fly with Oman Air from London Heathrow to Dubai for £288 return. There are cheaper flights available but these flights strike the balance between convenient timings, flight length and price. Leaving the UK just after 9pm on Tuesday evening means you can go from work to the airport and travel over night; arriving in Dubai to start your holiday just after 11am on the Wednesday. As with the flights, there are definitely cheaper hotels available, but Dubai is all about spoiling yourself a little bit! Stay at the 5* Sheraton Dubai Creek Hotel and Towers for £457 per person based on two people sharing. Located close to the old town this hotel is good value for a bit of luxury, with great views and an outdoor pool. The hotel is located only a ten minute walk to the metro station, so if you are budget conscious this is a great way to get around; the metro is clean and cheap. Taxis in Dubai are also fairly cheap compared to London so if you are travelling with a group it works out cheaper. The metro is not extensive so you may have to get taxis depending on where you want to go. From one side of Dubai to the other should cost no more than about £10, make sure you get a regular taxi and not a Lexus or hotel taxi as these will cost more. The best places to grab a taxi when out and about are at the entrance to a big hotel or shopping mall. Catching some rays… Although the public beaches in Dubai do not have the services of the swanky private beach clubs, they are free, clean, and full of lovely white sand! For a nice chilled out beach day try Umm Suqeim Public Beach which has views of the Burj Al Arab. Dubai is home to a number of water parks, including Aquaventure, which is part of the Atlantis Hotel on the Palm. I am not one for water parks normally, but this place is incredible! Definitely an all day affair, it is roughly the same price as theme parks in the UK, so get there early to avoid queues and make the most of the day! 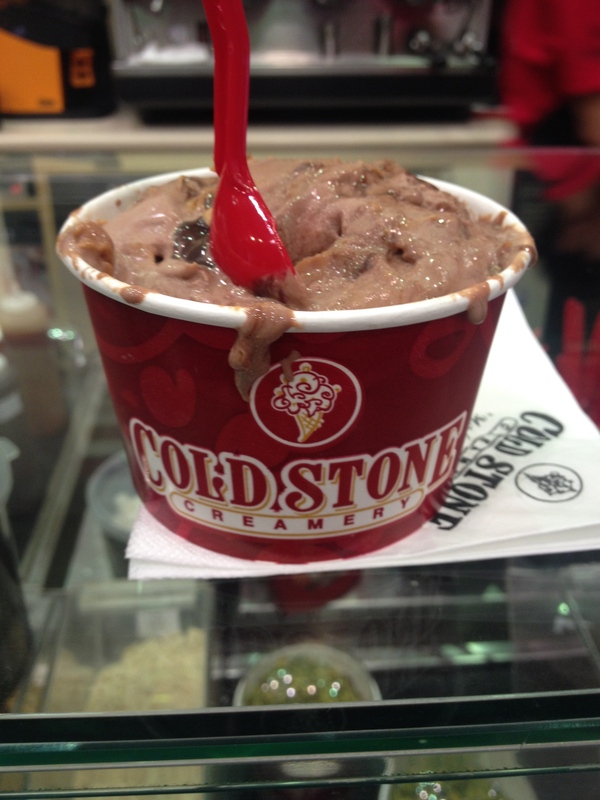 After a hard day of sunbathing on a rubber ring in the lazy river, treat yourself to a Cold Stone Creamery on the way out of the hotel. If you have never been to one before, and you like ice-cream, this is the place for you. Choose your own flavour combinations and then watch them skilfully juggle your ice-cream and throw it into a cup without even looking! Best. Day. Ever. Best ice-cream experience of my entire life. However, if you don’t fancy venturing out why not just have a pool day at the hotel with a good book! Fancy a spot of shopping? 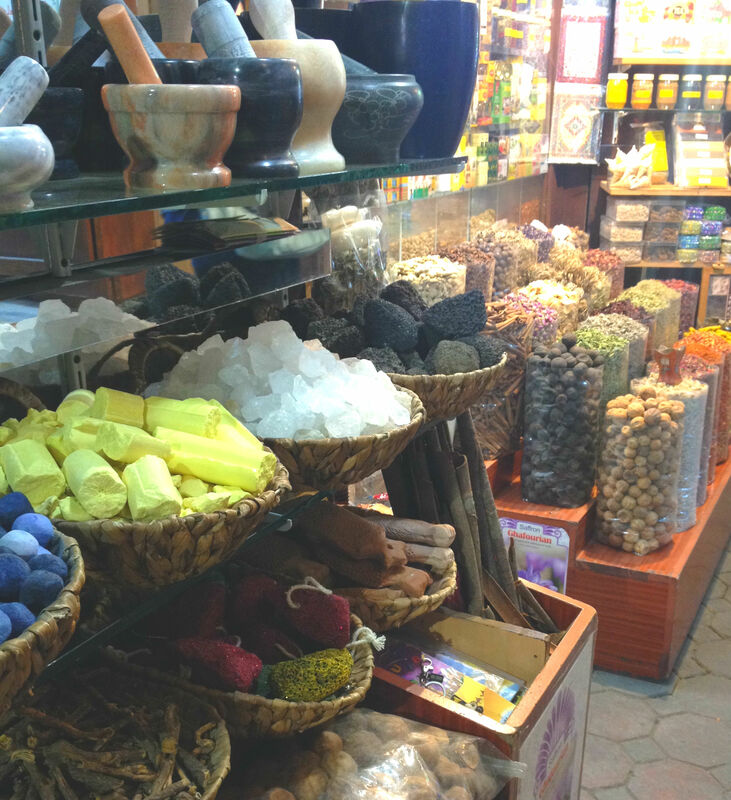 From the Sheraton it is just a 25 minute meander along the waterfront to the famous spice souk. From the spice souk you can take an Abra (small wooden boat) over to the textile souk for only one dirham (about 20p). This area of town is great to see a bit of the history of Dubai, but remember to cover your shoulders and knees when out and about in this area because although very liberal, it is arabic country. Not only is it respectful to the local culture, you will also feel more comfortable because you may get people staring at you if you wear something revealing in this area of Dubai. If you want to learn more about the culture and heritage, why not stop for breakfast or lunch at the cultural centre. The Sheikh Mohammed Centre for Cultural Understanding offers a chance to have a traditional Emirati meal in old Dubai and find out about the culture and history, prices start from about £15 and you have to book in advance. Dubai is also known for its modern shopping malls, housing not only every shop you could ever want but also attractions such as an indoor ski slope, an aquarium, and a waterfall! The malls are open late so a great place to go for a post dinner stroll. Eating and drinking… Where to start? There is so much going on in Dubai, you cant try everything… but here are my fave picks through out the week. For a full list of ideas see Time Out. Wednesday After a long flight from London you will need to rehydrate! Why not try Vida Downtown’s Cheese and Wine night. For just £28 you get three glasses of wine and a cheese buffet. The bar is small and relaxed with a great atmosphere. Thursday – Head for dinner at Zaroob for the best arabic food you have ever had. And it’s a bargain to boot! Sit outside under the fariy lights a sip your lemon mint while chatting with friends – ideal! If you fancy a drink afterwards take a short taxi ride to the H hotel and head to the entrance of the 40 Kong rooftop bar – just to the right of the hotel. You will be whisked up in the lift and emerge on the roof which has a great atmosphere and panoramic views. 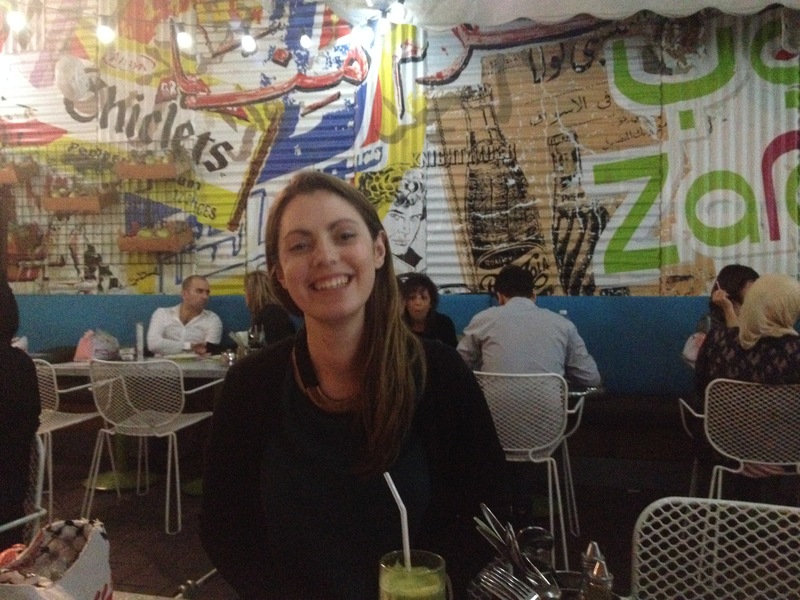 My friend Jess enjoying a Lemon Mint at Zaroob. Friday – The Saturday of the Middle East, Friday is a tough one in Dubai. With so many things going on, how will you choose? For me its got to be brunch. Who doesn’t love getting all dressed up 11am in a fancy frock and eating and drinking all day long? 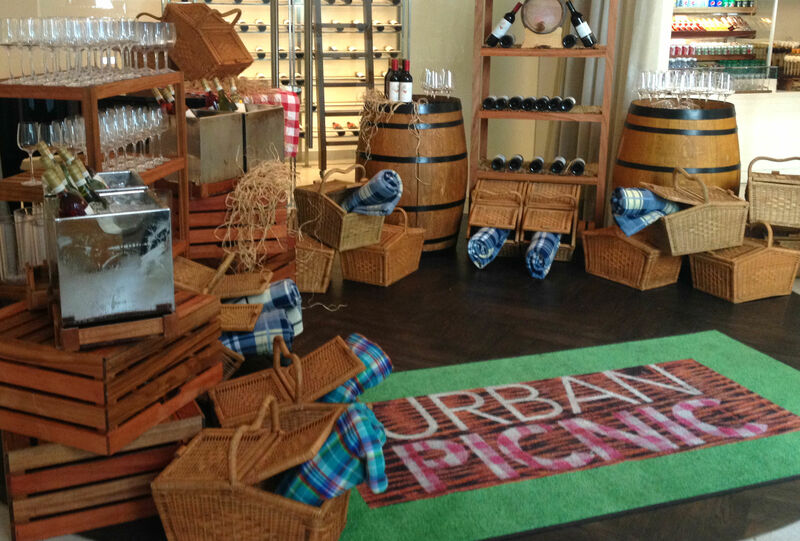 There are brunches to suit all sorts of groups and budgets, why not try the quirky picnic brunch at Vida Downtown. Set in the chic courtyard next to the pool you collect your picnic basket full of drinks and then head to your table. Its a mix of buffet and table service. Both the service and food are great, and for £55 eating and drinking alcohol all day its a pretty good deal! Brunch is served from 1pm-5pm but people seem to arrive early to dig in to the picnic! You can also upgrade to a cabana by the pool for £18 per person. Best to reserve a table in advance. Saturday – After brunch you are going to need a bit of fresh air and a chilled out evening to recover. 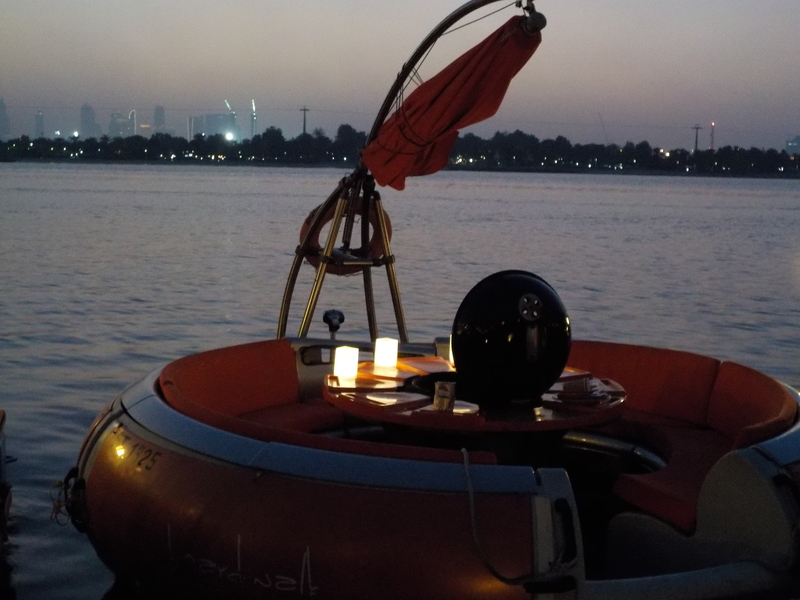 What better than a sunset cruise around the creek on your very own BBQ donut? The floating BBQ’s seat eight people and you need to book a time slot in advance. Incredible food, and relaxing atmosphere, perfect way to end the day! BBQ Donuts on the Creek at sunset. Sunday After the amazing donut feast you wont want to eat again for a while, but incase you do feel peckish head to the Mango Tree, a great Thai place with a terrace overlooking the Dubai Fountains. Make sure to call ahead and make a reservation; ask for a table on the Terrace so you can watch the fountain shows over dinner. Afterwards head to Calabar at the Address Downtown to the super relaxed garden and have a cocktail while chilling out on a bean bags. Monday – Like Margaritas? Claw has 2-4-1 Margarita Mondays! And also a great food menu. Tuesday – Ladies nights in Dubai are a mid-week treat for the credit card! With exclusive night clubs such as Mahiki offering free entry and free drinks for ladies there is no excuse not to have an amazing last night before sleeping it off on the plane the next day! For more ideas about great holiday deals check out my previous post ‘How to Fly for £17 Return’. All prices and availability were accurate on Wednesday the 11th of March; please check websites for up to date pricing. Asia, Get Me Outta Here! Get Me Outta Here! The December Edition. Sarah Loughlin hunts down the best travel deals for holidays in December. Post Christmas blues can be a real downer. If you are reading this it probably means you have finished scoffing turkey and opening presents and you are now looking for something to keep you entertained until the New Year’s Eve celebrations commence. New Year’s Eve is a tricky evening to get right, if you live in London you will be familiar with the options; all of which are pricey and or overcrowded. When even the local pub charges £10 to get in, I begin to wonder if there isn’t another way to celebrate the beginning of a new year. Street party’s, concerts and torch light processions – Hogmanay has it all. Fly to Edinburgh with BA from London Heathrow and stay two nights at the Marriott for just £248 per person. To book tickets and find out more about Hogmanay events visit their website. Dont fancy going back to work, or starting all the post Christmas diet just yet? This package with Thomson for flights from London Gatwick, transfers to the hotel and All Inclusive accommodation is the one for you! Staying in the Hotel Marhaba Salem in Sousse, which has great reviews on Trip Advisor and has been given the Travelife Gold Award for sustainability. Weather next week is due to be mostly sunny and in the mid-teens, so perfect for a wander along the beach, or a mid afternoon drink by the pool. The all inclusive board basis is a perfect excuse to carry on the festive eating well into January! 14 nights in Punta Cana, Dominican Republic‎ – Tuesday 30th December – Tuesday 13th January. Ever fancied going to a New Year’s Eve party in a cave? Look no further, Imagine in Punta Cana is a night club which plays a great mix of English and Latin music, and the drinks are reasonable for a night club….. plus it’s in a CAVE! Night out at Imagine, Punta Cana earlier this summer. The Aquamarina Apartment in the Cap Cana Marina available via airbnb.co.uk sleeps 6 people and works out at £467.83 per person. The Cap Cana Resort, located about 30 minutes from Imagine night club and 20 minutes from the airport, has something for everyone. From beach clubs and nature reserves to water-sports and golf courses. This apartment is in a great location close to bars and restaurants, but also has cooking facilities if you want to save your pennies for excursions and activities. Weather for the next two weeks is due to be in the mid- to late-twenties – ideal sunbathing weather if you fancy relaxing and reading a book on one of the well kept white sandy beaches, and not too hot for exploring the many activities that the resort offers. I had a blast at Cap Cana earlier this summer, check out my top things to do in Cap Cana on your relaxing post Christmas vacay! 1. Head to the Caleton beach club for a cocktail – Caleton is a small bay with a great beach bar and pool. It is a small secluded spot with sun loungers spread amongst the palm trees. The bay is wavy so not ideal if you want to go for a long swim, but really fun for messing around in the sea – check out my wave pictures from the bay. Perfect day playing in the sea and drinking cocktails in the sunshine! 2. Go windsurfing at Juanillo beach – Juanillo is a long white sandy beach with a great beach bar/ restaurant and water sports facilities. Less wavy that Caleton and also more spread out. We hired windsurf kit for an hour which cost about 40 USD. The staff were all very friendly and helpful, the water is waist deep for quite a way out and the centre has a range of kit so its ideal for any standard of windsurfer. They also have SUP boards if you fancy a paddle. 3. Head to the Sunset party at DUX in the marina – it costs roughly £15 to get in, starting from 3pm every Sunday with an open bar and is only a short stroll from the apartment. Enjoying free drinks at DUX’s Lady’s night, Cap Cana Marina earlier this summer. 4. Try Zip Lining at Scape Park – Get the George of the Jungle feeling, flying over the tree tops and hiking up through the forest. 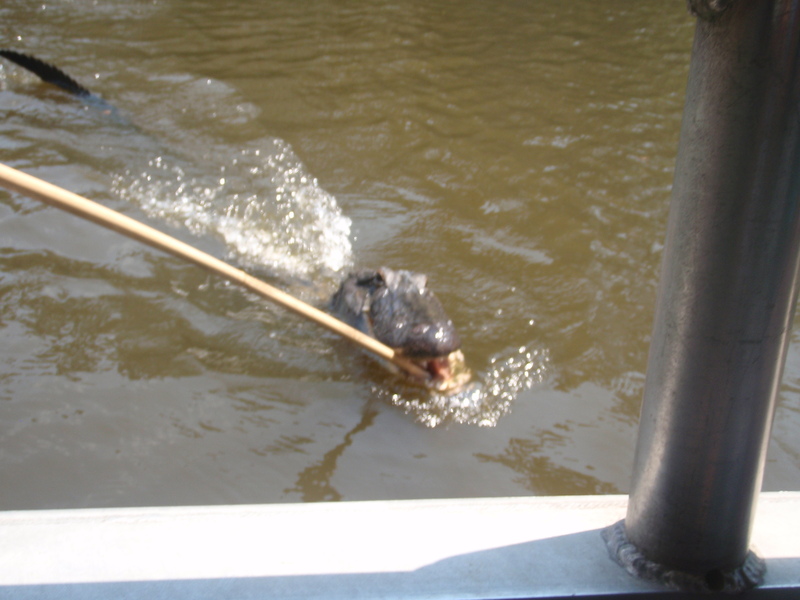 The guides also tell you about some of the nature and wildlife as you go. Great way to see some more of the island. If you can’t convince five friends to accompany you for some winter sunshine there are other options nearby such as the Pool and Garden View Apartment, which works out as £535 based on two people sharing via airbnb.com. All prices and availability were accurate on Thursday the 26th of December; please check websites for up to date pricing. I’m dreaming of a…..Green Christmas? With thousands of holiday makers due to arrive this weekend, the Alps are still struggling for snow. 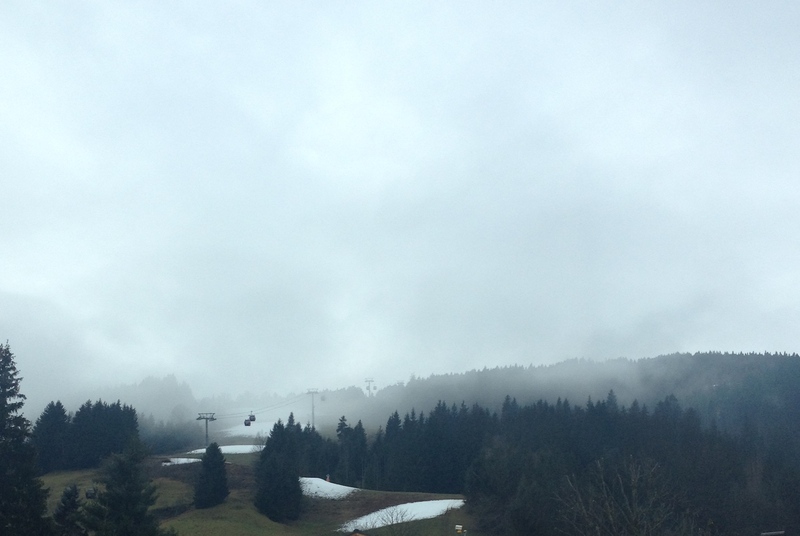 Sarah Loughlin looks at alternative activities to enjoy on your Christmas alpine break! Whether you think that the lack of snow this year is down to global warming, disgruntled Snow God’s, or just plain bad luck, the fact is there are a fair amount of resorts not opening their lifts this weekend due to snow conditions. If you have already booked a ski holiday for this Christmas and your resort is looking more golf course, than ski piste, read on! Attempts by some resorts to make snow with the cannons. ‘No snow?! At Christmas?? !’ I hear you cry, ‘This madness’…. And madness it will be, thousands of people are due to descend into resorts this week, and as I look out on the very green and leafy mountains of the Tirol in Austria I can’t help wondering how this will play out. One solution used by many ski resorts are snow cannons which create artificial snow. However due to unseasonably warm temperatures and humidity they are not able to use them to create snow for this coming weekend. To create artificial snow it needs to be around -2/-3C. Christmas Day this year in parts of the Tirol region are due to be between 8-10C. This is not what we have come to expect on the 19th of December, most years there is some sort of covering on the mountain, enough for resorts to open, even if it’s only the higher ski runs. With the scientists reporting that the weather is getting warmer, the glaciers are shrinking and the altitude at which rain turns to snow getting ever higher, it begs the question of whether low lying resorts such as those in the Tirol will still be skiable in the future. However traveling around the Tirol and speaking to various locals over the last few days I am told this is not the first time this has happened. One hotelier tells me he can remember a season about 20 years ago where they didn’t get the first snow until mid January. He doesn’t think that this situation is new, but it just happens a bit more often than it used to. He is not worried though, ‘the snow will come’, he tells me, ‘it always does’. I imagine there will be a lot of disappointed people at the airport this weekend, but don’t be one of them!! After all, It’s Christmas!!! Although not ideal if you had envisaged spending a week swanning around the slopes, there is plenty to do in resort if there is limited skiing. These are my top activities to make the most of your non-ski holiday this week! 1. Try something different…. Most resorts offer activities that don’t need snow, such as paraponting (running/ skiing off a hill while attached to a nice French/ Austrian man and floating down through the valley with a parachute). If you think this could be the new sport for you, do some research and try to book something before you get there, I imagine they will get very busy! Companies like Evolution 2 in France offer a wide range of non-skiing activities. 2. Relax….. There are normally great spa’s and sauna’s in ski resorts. Make the most of the time you don’t normally have when running between ski school, après and dinner to relax in the spa, take a steam, or get a massage. Depending on your budget and the resort you are in there is normally a few to choose from. Again, research before you go and get booked in, especially if you want treatments. This could also double as a cheeky last minute Christmas present for someone you are traveling with!! 3. Explore…. I think like a lot of keen skiers I have only ever visited the mountains in the winter. Until this autumn, when I spent some time in the French Alps. I completely fell in love with it, it is so beautiful and peaceful walking in the mountains; there are so many animals and amazing views. You can even burn off some of that Christmas dinner while getting out in the fresh air! Make the most of a chance to go for a nice long hike and see the mountains before they get buried again for another winter. 4. 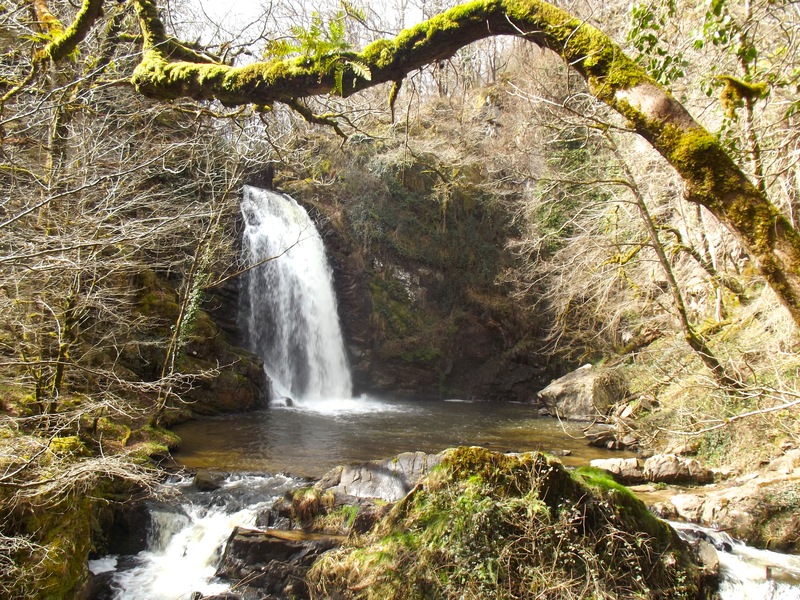 Get sporty…… If hiking and paraponting aren’t your thing, visit the local sports centre. Depending on the resort there are all sorts of activities from climbing and swimming, to ice skating and table tennis. 5. Go shopping…. Whether you are into tacky souvenirs, hand carved wooden statues or cool snowboard apparel you will find it up in the mountains. Again, something you don’t normally have time for on an action packed ski holiday, so make the most of the time to look around the shops and pick up a few cool Christmas presents for yourself (and/ or friends and loved ones!). 6. Pig out….. It wouldn’t be Christmas without eating yourself silly. The mountains are a great place to do it, with more cheese and carbs than you can shake a stick at! So treat everyday like Christmas and take long boozey lunches while praying to the Snow God’s for a midweek dump! 7. Après…. Just because there is no snow doesn’t mean you can’t indulge in the strange post-skiing afternoon tradition of watching live music, drinking beer and dancing on tables; other wise known as après ski. Plus you can hit it extra hard because you don’t have to be up early for ski school in the morning!! 8. 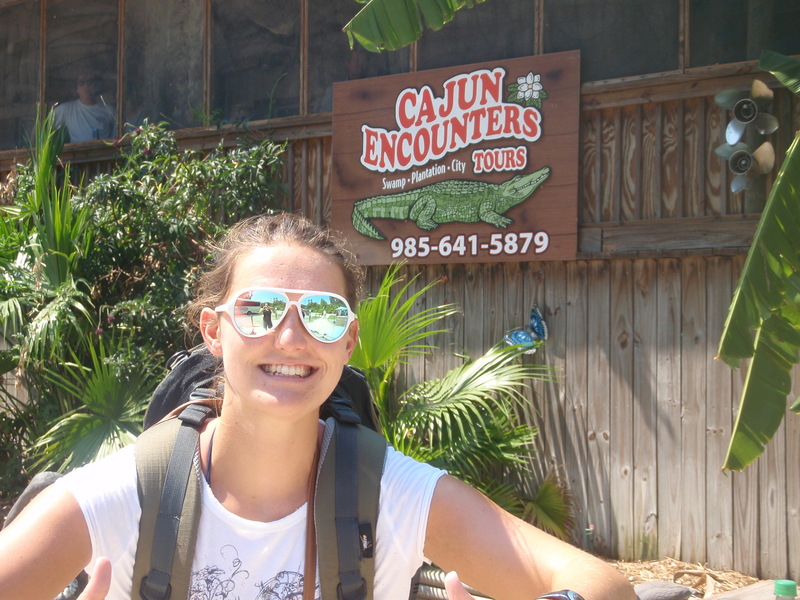 Excursions…. Depending on the resort you are going to it is relatively easy to take the train to visit a nearby town or city. 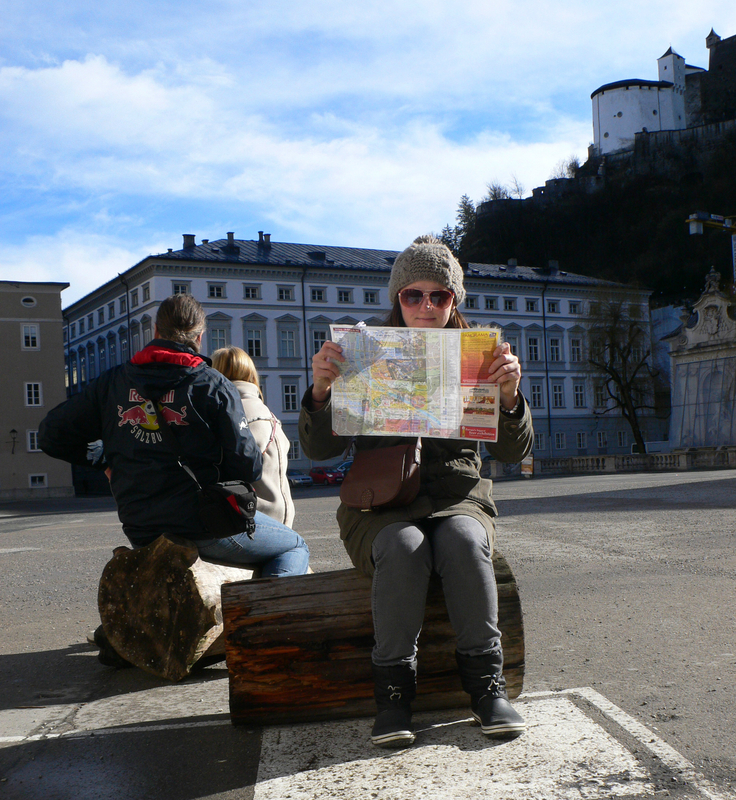 Check out my article on Salzburg for some inspiration! 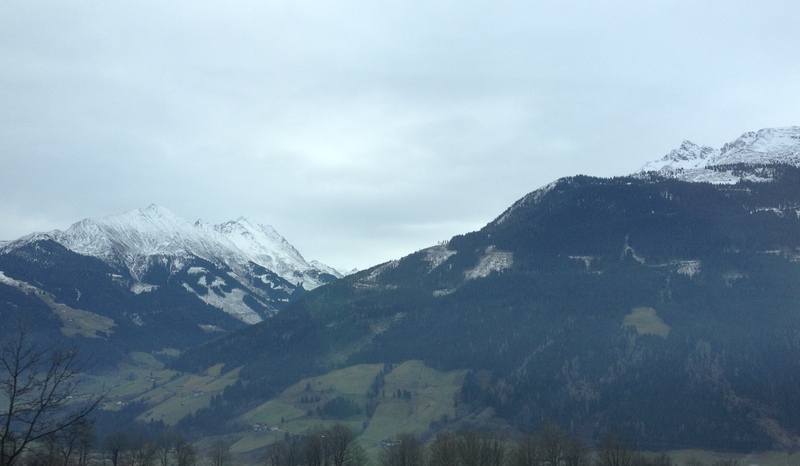 Driving through the Tirol region in Austria this afternoon. There are many ways to enjoy the famous casino town, but there is only one way to do it on a budget. 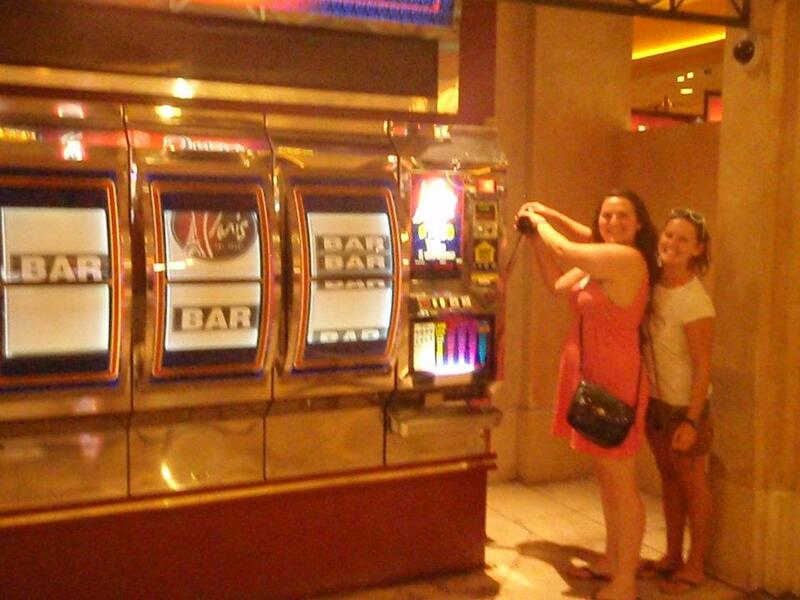 Sarah Loughlin visits Las Vegas to try her luck living on £10 a day. 1. Free drinks – Whether it’s your morning OJ or your 6pm sun-downers. If you are playing in a casino it’s free. Sit down at one of the many 1¢ slot machines and play away while getting the attention of one of the waitresses; you never know you could end up winning yourself some money while you wait for your mid-afternoon coffee! Always carry an ID with you and remember to tip your waitress, $1 will do it. 2. Free gambling – If you sign up as a casino member they give you free money! If it is your first time in Vegas you will want to see everything, including the many casinos that line the world famous ‘Strip’. Every time you go to a new casino find the membership desk and sign up, most casinos will give you a membership card with pre-loaded money on it. This can be anything from $5 – $20 – you can’t withdraw it as cash, but once you have played it all any money you win is yours! One evening I came out of the Cosmopolitan after several glasses of prosecco with $10 more than I started with! 3. Free entertainment – There is so much to see in Vegas that is completely FREE! For example the light show in Fremont Street downtown and the Bellagio Fountains. The thing I enjoyed most about Vegas was walking around soaking up the atmosphere; you will be totally taken aback by the grandiose scale of everything. Buildings not to miss include: a huge pyramid (Luxor Hotel and Casino), a life size castle (Excalibur Hotel and Casino), and the indoor canals with actual gondolas on them (The Venetian Hotel and Casino). 4. Free food (almost!) – Keep an eye out for food deals and ‘happy hour’ food offers, I can’t tell you the amount of food we found for $1, burritos, tacos, pizza slices, it was incredible! 5. Free nightlife (one for the ladies!) – As a group of two girls we were given free entry to most of the clubs – but it was midweek – so if you are going at the weekend don’t rely on it. One of the best nights we had started out as a quiet drink at some penny slots, until one of the promoters gave us a flyer for free entry to the nightclub and free Champagne. We sipped bubbly until midnight when the free booze ran out, had a few cocktails at the penny slots, and then went back in at about 1.30am when it got busy to dance the night away! Stay at the AAE Las Vegas Palace Station Casino $7 per person per night based on two people sharing. Free Airport Shuttle. Free Shuttle to the Strip (only until 11pm – taxi’s are about $10 to get back if you don’t want to stay out all night!). We had a huge (by European standards!) room with a double bed each. For the price we paid I expected to come out with bedbugs, but it was really clean. The pool was nothing special, but ideal for a chilled out day reading your book/ sleeping off your hangover. Get Me Outta Here! The November Edition. Sarah Loughlin hunts down the best travel deals for holidays in November. Unless you have been locked in a darkened room for the last few weeks, you will have noticed its becoming decidedly wintery. Although this means that soon enough the ski resorts will start opening up, and the Christmas markets will be in full swing. For now, well…its just a bit soggy. Three nights exploring Marrakech, Morocco – Saturday the 29th Of November- Tuesday 2nd of December £296. Book via Voyage Prive and stay in the 5* Kenzi Menara Palace. Flights, accommodation, breakfast and private transfers are all included as well as one free day in the spa. This hotel has great reviews on Trip Advisor and loads of facilities including both an indoor and outdoor pool, tennis courts and a volley ball court. This deal is based on flying from Stansted with Ryanair, although there are alternatives if the thought of driving to Stansted at 2am makes you want to stay at home in the rain! The weather is due to be 20 degrees and sunny in Marrakech next week, perfect for chilling by the pool or exploring the town. This deal is only available for three more days, so don’t miss out! If you have not been to Marrakech before check out Elle Croft’s handy guide. Seven nights soaking up the sun in Hurghada, Egypt – Tuesday the 2nd of December – Tuesday the 9th of December £342. I know this is strictly in December, but it was good a deal to ignore! Fly from London Gatwick with Thomas Cook staying at the Sunrise Royal Makadi Resort, which has great reviews and it’s an All Inclusive hotel, so everything is covered! 1. Ride a camel… Those of you who have read my previous post’s will know that my Dad and I tend to get carried away when embracing history and culture, camel riding was no exception! 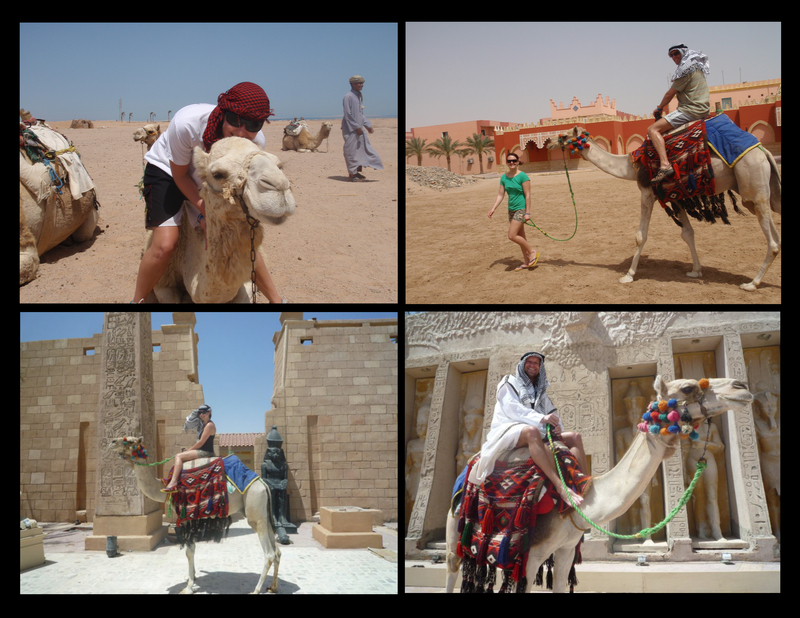 My sisters were mortified to see us running around with our camels pretending we were ancient Egyptian explorers. 3. Go Scuba-diving… I tried diving for the first time in Egypt and absolutely loved it. The Red Sea is renowned for their great dive spots, and it wasn’t too pricey compared to some other destinations. If you don’t fancy scuba-diving, try snorkelling, you can still see a lot of the amazing coral and wildlife just buy swimming around on the surface. TOP TIP: Always take care when snorkelling and diving, the coral is very delicate and touching it or treading on it can easily kill it. 2. Spend some time in the desert…. 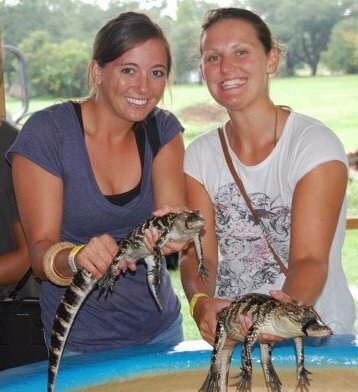 There are a lot of different activities and excursions to choose from so pick something that suites you and head out into the desert for the day, you won’t regret it! TOP TIP: Remember to take a jumper if you are staying into the evening because it can get cold quite quickly. 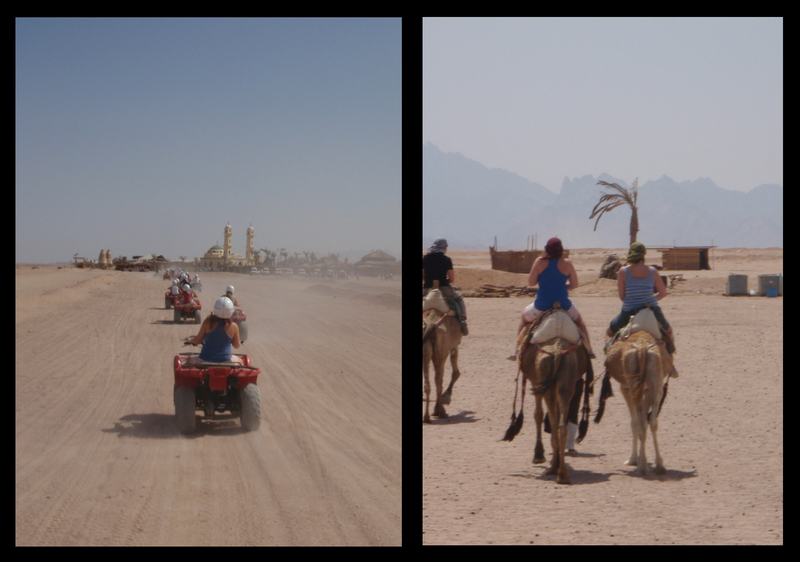 Excursion to a Bedouin Camp, and more camel riding! 4. Visit the Marina…. take a taxi down to Hurghada Marina for a wonder around the shops and bars. It’s a great atmosphere in the town, remember that haggling is a part of the culture over there so give it a go! TOP TIP: Book a return taxi from the hotel and arrange to meet them at a set time and place, this way you don’t have to worry about getting home. 5. Have a cheeky afternoon beer at the pool bar… there is nothing like catching up on the days events over a beer to cool off in the afternoon sun. Whether you have been playing volleyball, taking a nap or reading a great book, it’s always good to pencil in an afternoon refreshment or two! 14 nights saving the world in The Gambia – Friday the 28th of November – Friday the 12th of December. Book with The Gambia Experience and stay at Kombo Beach, for just £551 per person based on two people sharing. This includes your flights, transfers, accommodation and breakfast. In my feature ‘Go on Holiday Whilst Saving the World’ I discussed how you can really make a difference in places such as The Gambia, which as a developing country relies heavily on the tourist trade to make money. You can make your money go a lot further by choosing a hotel such as Kombo Beach, which has great reviews as well as being recognised by Travelife as a hotel that is making an effort to look after the environment and local community. Kombo beach works with Gambia is Good (GiG), a business which supports thousands of remote local farmers by linking them with the tourist market. Kombo Beach buys fruit and vegetables from GiG, as well as serving locally produced beer at the hotel. They also monitor their environmental impact in terms of energy and water usage and try, where they can, to improve on it every year. This hotel really goes the extra mile to look after its staff, during the rainy season when the hotel is closed they try to employ staff as handy men in the hotel, if that is not possible they provide them with food packages each month. As if saving the world was not reason enough to go, the weather for next week is due to be in the mid 30’s! So you will definitely pick up a healthy glow in time for the office Christmas party! All prices and availability were accurate on Sunday the 23rd of November; please check websites for up to date pricing. Sarah Loughlin hunts down the best travel deals for weekend breaks. Autumn is a time for weekend breaks. Not because weekends are particularly spectacular in autumn, but because you have run out of holiday allowance at work. Unless by some miracle you have been rationing your holidays like a sensible person, in which case I applaud you! I however, have not been lucky enough to squirrel away many holiday days! So will be spending the next few months wishing I had had a bit more self- control with those last minute summer bargains. And taking weekend breaks. Lots of them. Here are my top picks to tide you over until the New (holiday) Year!! October: Oslo, Norway. Friday 24th – Monday 27th October. There is a choice of flights from London Stansted for £53 return. On Booking.com I found the Anker Apartment which has both apartments and also dorm rooms depending on your budget; it is great value in a good location, £90.50 per person for three nights (based on two people sharing a twin room with a private bathroom and kitchenette) and it has good reviews on Tripadvisor. It has basic cooking facilities, which can be handy if you don’t want to spend too much money on eating out; Norway is notoriously pricey compared to the UK. On average a beer costs about £7. Traveling from the airport to town takes about an hour, you can either get the bus or train. The Oslo Opera Festival is on during October – why not check out the performance of Madame Butterfly for free at the Clarion Hotel Royal Christiania. The performance starts at 7pm and the hotel is about 30 minutes walk from the Anker Apartment (see map below for location). The Edvard Munch Museum – Dedicated to Norwegian artist Edvard Munch whose famous works include The Scream. Adult entry £9, open from 11am-5pm, guided tours everyday at 1pm. Aprox 20 minutes walk from the Anker Apartment (see map below). The Viking Ship Museum – Check out some genuine Viking ships! Entry £6, open 10-4pm. To get there from the Anker Apartment: Take the number 30 bus from the Dælenenga (stop next to the Anker Apartment) towards Bygdøy. Get off at Vikingskipshuset. Journey takes about 30 minutes and costs £9 for an all day bus ticket or £3 for a single journey if you buy your ticket before you get on the bus. For more information on getting around check out Oslo’s journey planning website. Nobels Fredssenter (Nobel peace price museum) – Learn all about the history of the Nobel Peace Prize and some of the people who have received it such as Mother Teresa and Martin Luther King Jr. Adult entry £9, open 10am-6pm. 40 minutes walk from the Anker Apartment (see map below). After your hectic weekend of learning about Norwegian culture and history make time to relax with a live band on Sunday afternoon at Bla, a well known Jazz Club. It is only 20 minutes walk from the Nobels Fredssenter and 20 minutes from the Anker Apartment (see map). There is a 4pm acoustic set, and an electric set at 8.30pm – free entry. Not a museum fan? Don’t panic, here is plenty more to do! Check out the Everywhereist’s blog post on Oslo – its very funny. Lonley Planet has some good suggestions, and The Oslo Pass website has a page of ‘Top 10’s’ for every occasion. The Oslo Pass is about £28 for the day and gives you access to various museums and sights, so if you are planning to have an action packed day it might work about cheaper than paying for attractions individually. Map of Oslo showing location and address of each of the sights mentioned. All walking distance (apart from the Viking Ship Museum which is a bus ride away). November: Jersey, UK. Saturday 8th – Monday 10th of November. Flight and hotel package with the BA Holiday Finder for £99 per person based on two people sharing a room (breakfast included) at the Mayfair Hotel St Helier. This hotel has great reviews and is right in the centre of town. This will be the last weekend of the annual Channel Islands ‘Tennerfest’, which runs from 1st of October to the 11th of November. The Tennerfest, which has been going for over 10 years, is a six week period in which over 180 restaurants across the Channel Islands have a special fixed price menu exclusive to the Tennerfest. So not surprisingly most of my suggested activities are based around food – mixed in with some sporty outdoor type things to justify all the food. To get from the airport to the hotel take bus number 15 from outside the airport terminal. It goes roughly every 15 minutes and costs £1.70 for an adult fare (Use the handy Journey Planner to check bus times). After dumping your bags head to the St Helier bus station and take the number 22 bus towards L’etacq. 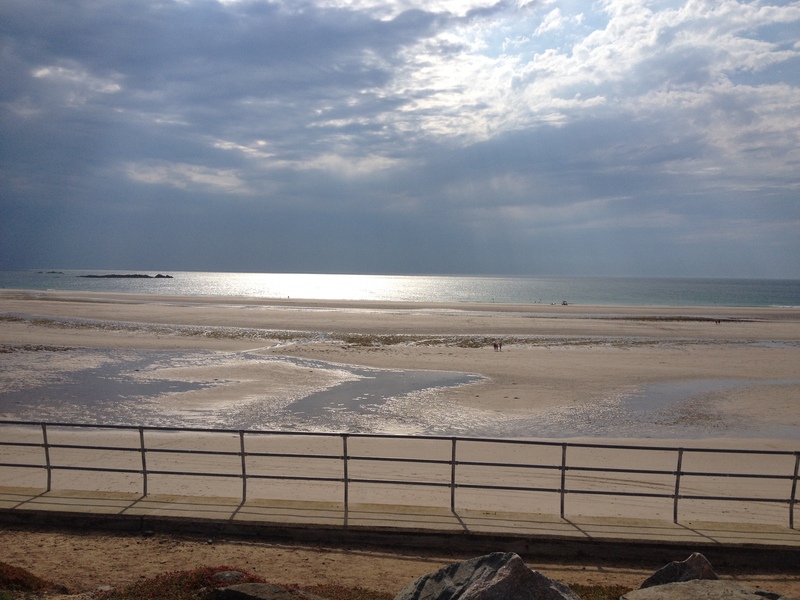 Get of at St Ouen’s beach close to El Tico’s Restaurant (ask the driver if you are not sure where to get off). Laneez is the surf shop on the beach next to El Tico’s you can rent a surfboard and a wetsuit for £10 for 2 hours, or all day for £20. 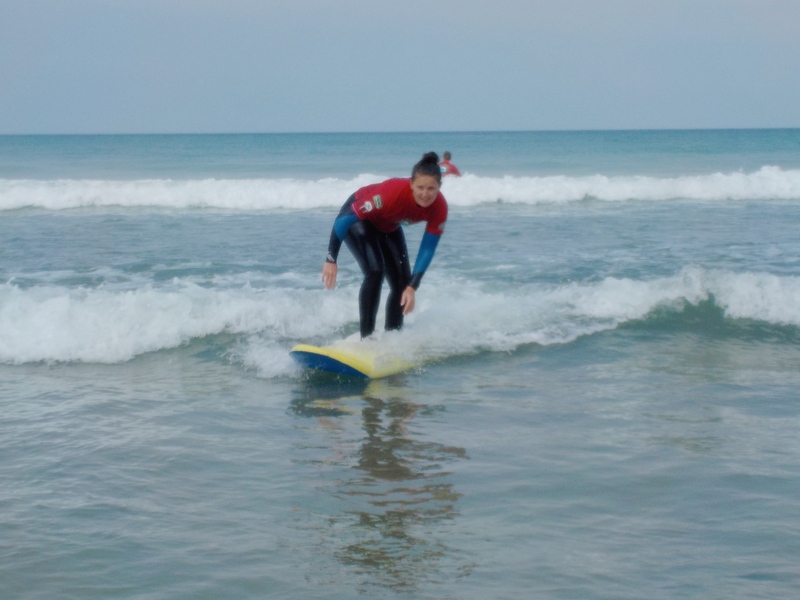 If you have never surfed before, no problem, they also offer lessons. The surf is best at St Ouen’s at mid- to low- tide so check the times before you set off. If you don’t fancy a surf, St Ouen’s is Jersey’s longest beach, great for a nice walk to stretch your legs after the flight. Stop at El Tico’s for dinner or a late lunch, during Tennerfest they are doing two courses for £15 or three courses for £17.50, check out the menu here. Sunset from El Tico’s after a day of surfing. Afterwards why not head to the bonfire night display at Moulin de Lecq Pub which starts at 6.30pm. The Collas Crill Island Walk, formally known as the Itex Walk is the annual 48 mile round the Island walk to raise money for charity. On their website the walk is broken down into 13 stages of varying length and difficulty. Pick a stage that suits you and go for a walk to explore the island. Alternatively there are the ‘Aletrails’ which are six walking routes put together by Visit Jersey, described as ‘walking routes to build thirst’ – they all end at pubs, which is very convenient. You can download the PDF and print it out to take with you before you go. I would pick Walk 4, which is a bit more challenging and starts and ends at the Vic in the Valley pub. They are offering two courses for £10 and three courses for £12.50, check out the menu here (open for lunch between 12 and 4.30pm). To get there take bus 28 or bus 8 from the bus station in St Helier. If the weather holds out why not make the most of your last day in Jersey and take a guided bike tour around the island – starting at £25 per person including equipment hire the rides can be tailored to your group. Afterwards try out another of the Tennerfest menus at the Adelphi Lounge in St Helier, click here for menu. They are offering two courses for £10 or three courses for £12.50 (open for lunch between 12 and 2.30pm). December: Berlin, Germany. Saturday 6th of December – Tuesday 9th of December. The Practical bits: Fly from London Stansted for £73 return. Stay at Penthouse am Checkpoint Charlie in the centre of Berlin with AirBnB for just £105.50 per person based on two sharing. The Penthouse is in a prime location on Charlottenstraße (Charlotte Street) – see map below. 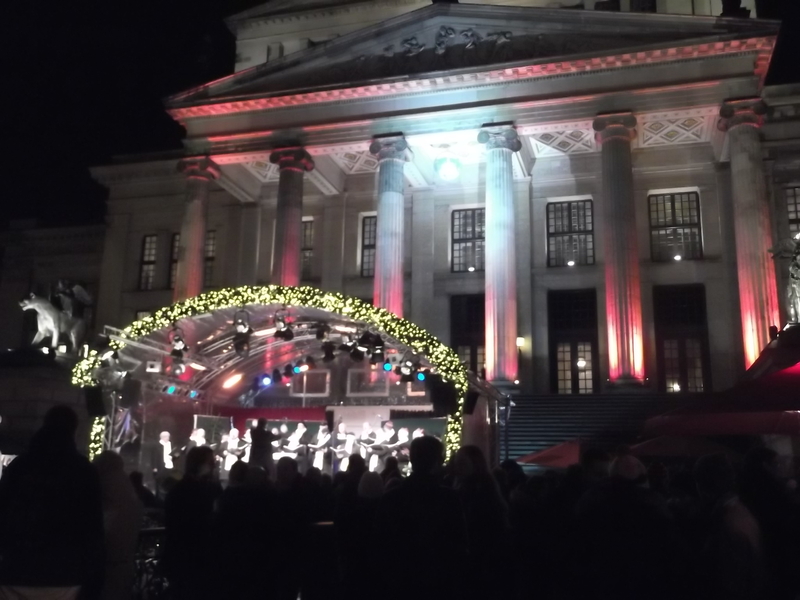 Not only is it well connected for public transport, but it’s on the same street as the famous Fassbender-Rausch chocolate restaurant, and it is right next to the Christmas market WeihnachtsZauber Gendarmenmarkt. To get from the airport to the city take the train, you can buy a Berlin WelcomeCard which covers public transport and also gives you a discount to selected tourist attractions. Now for the fun parts. Berlin at Christmas is just incredible. The polar opposite to Oslo, everything here is great value compared to London. A mug of glühwein or beer will set you back around €3 (or about €4 if you want to keep the souvenir mug that it is served in). Drink Glühwein – It is pretty chilly in Berlin in December, so wrap up warm and grab a mug of glühwein (german mulled wine) from one of the stalls as you wonder around the market. Keeping warm with some glühwein! You can keep the souvenir mugs, or return them to get the deposit back (normally €1/2). Eat Bratwurst – Again super good value and amazingly tasty – will help keep you going on your Christmassy adventures. Eat Cedar – Planked Salmon – The salmon steaks are nailed to the charred planks and then propped against the fire to cook. Then they are broken up and put in a bun with some herby mayonnaise. Totally amazing. And a good alternative to the bratwurst if you are not a meat eater! 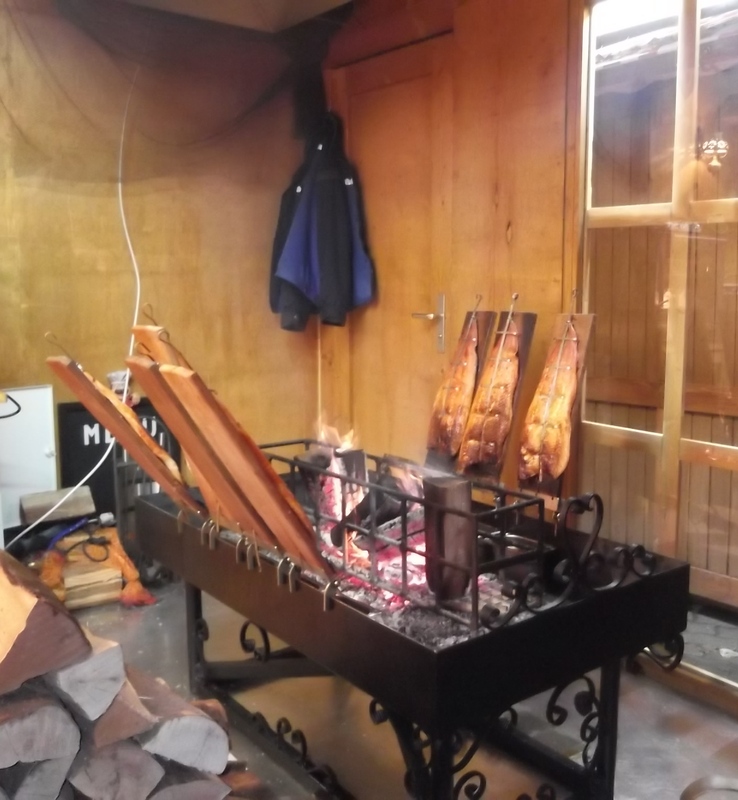 Cedar – Planked Salmon being cooked at the Charlottenburg Palace Christmas Market. 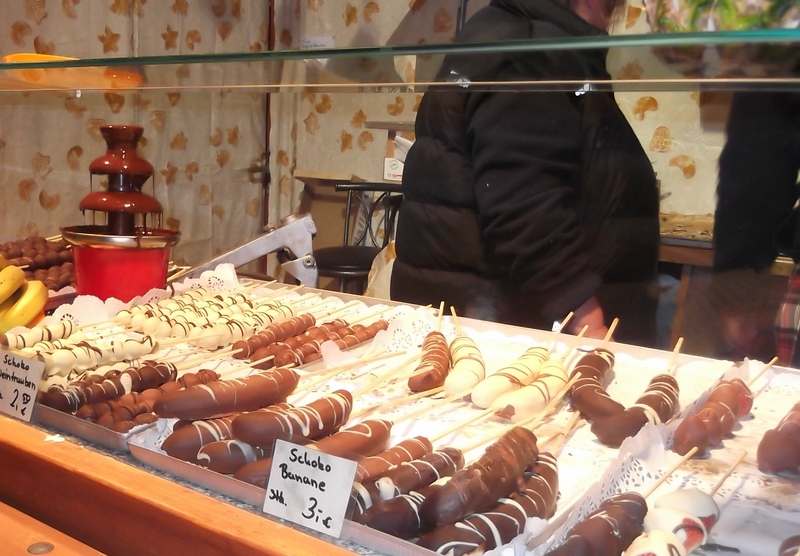 Eat Chocolate Covered Fruit on Sticks – It wont keep you particularly warm, but it is really delicious. And healthy. Compared to a bratwurst. Maybe. 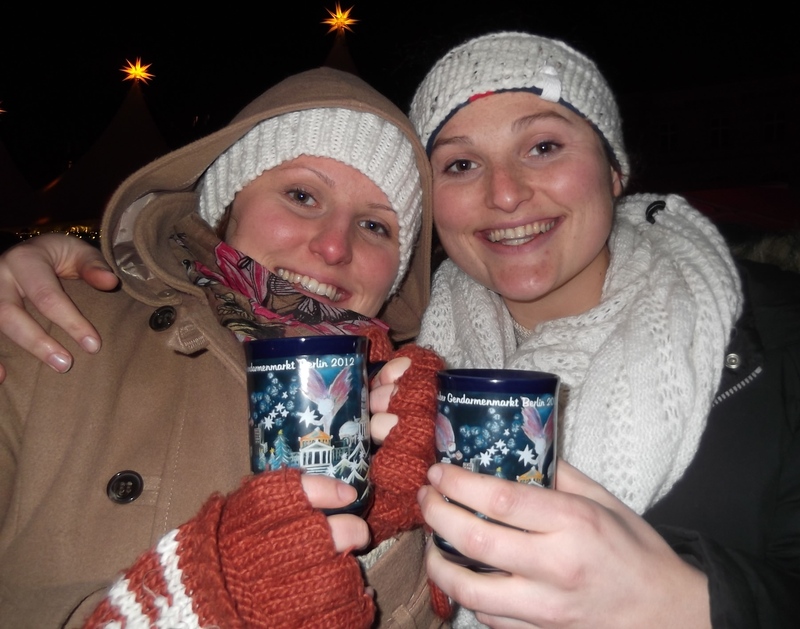 Drink more Glühwein – It really can get quite chilly! Plus the Christmas markets come into their own in the evenings, there is a fantastic atmosphere with lots of people meeting up to look around or have bite to eat and a drink, so stick around and get involved. Drinking glühwein and enjoying the atmosphere. Alexanderplatz Christmas Market (Alexanderplatz, Berlin, 10178) – I will always have a soft spot for this market because it was the first one I had ever visited and I was beyond excited. 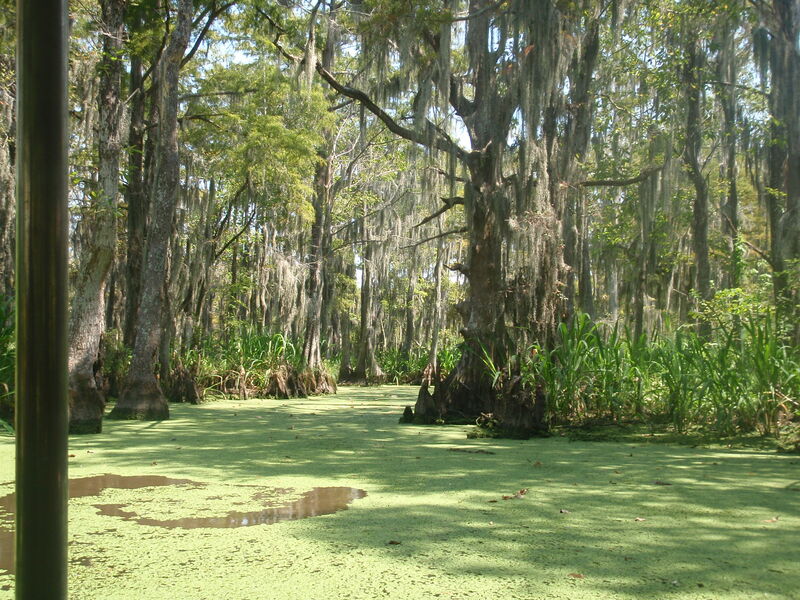 Its also really close to some of the other markets so you can wander between them very easily. WeihnachtsZauber Gendarmenmarkt (Gendarmenmarkt, Berlin, 10117) – I really enjoyed this market, there were quite a few more covered/indoor sections with lots of hand made crafts. Including a man who made sculptures from antique cutlery, very cool. There was also entertainment in the evening. Plus it is across the road from the Penthouse am Checkpoint Charlie! Winterwelt market at Potsdamer Platz (Potsdamer Platz, Berlin, 10785) – This Christmas market has curling and an apres ski party from 7pm! It is also next to Arkaden Shopping centre, so if your travel buddy is all Glühweined out, they can do a spot of shopping while you grab another bratwurst and some chocolate covered fruit! Go to the Visit Berlin website for more details on the markets, or see Richard Carter’s Article for more reviews. Charlottenberg Palace – This beautiful 17th century Palace and Gardens is only a short train ride from the centre of town. We didn’t actually go inside, but did a self guided tour of the gardens from my guidebook. 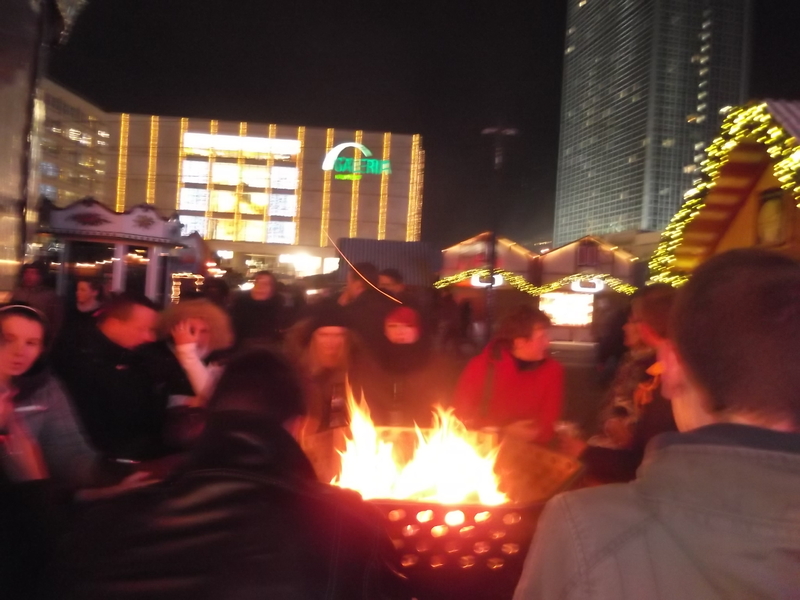 Plus there is a Christmas market in front of the Palace, so you are never too far away from a warming Glühwein! Berlin TV Tower (Berliner Fernsehturm) – See the whole of the city from over 300m up! This is a popular attraction, so book ahead to avoid the waiting time, and go during the evening so you can see the city lit up late at night. The view from the top of the tower is fantastic. Un-like similar sites in other cities the TV tower is very reasonable, entry is €13 and a cocktail costs around €6/7. So make time to relax at the bar and enjoy the view, or why not make a dinner reservation at the TV Tower restaurant ‘Sphere’. Chocolate restaurant – On the same street as the Penthouse am Checkpoint Charlie, opposite the entrance to the WeihnachtsZauber Gendarmenmarkt Christmas market you will find the most amazing chocolate shop you have ever been too. There are huge intricate sculptures of buildings made of Chocolate as well as little Santas and tiny chocolate truffles. But thats not the best bit! Upstairs you will find a restaurant serving food and drink inspired by chocolate (even savoury main meals, crazy!). We only had time to dash in for a quick hot chocolate, but blimey, it was quite the hot chocolate indeed! 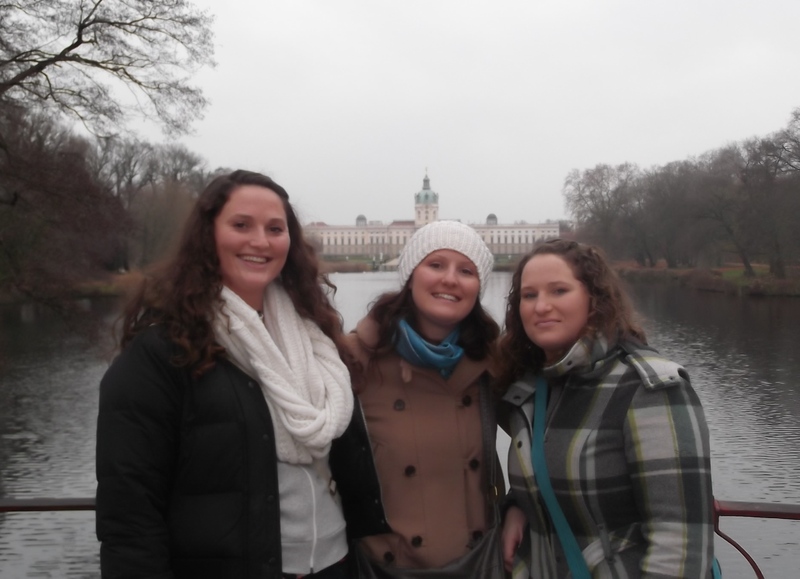 Walking tour of Berlin – Not being much of a history buff I found this tour fascinating! Learn all about WW2 and the years afterwards, and how the city is still recovering. Plus it’s a chance to see some of the famous sights while burning off a few of those bratwursts! But remember to wrap up warm, and take snacks. Nothing like a spot of ‘Hanger‘ to ruin your trip! With your Berlin WelcomeCard you get 25% of the walking tours with Insider Tours, the ‘Famous Insider Walk‘ leaves daily at 10am and cost €9 with the discount. 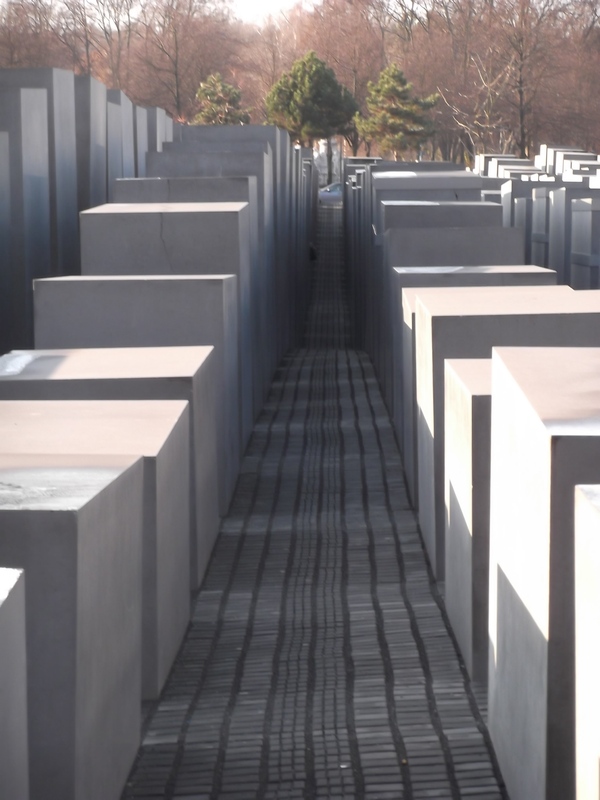 Memorial to the Murdered Jews of Europe – one of the stops on the walking tour, this is a spectacular monument. Make sure to take your time to walk among the pillars. If these don’t grab your fancy see my post ‘How to Fly for £17 Return’ for tips on hunting out great travel deals. All prices and availability were accurate on Tuesday 14th of October; please check websites for up to date pricing. Sarah Loughlin catches up with windsurfcoaching.com’s Colin ‘Whippy’ Dixon in Vassiliki to talk about windsurfing, Greek summers, and his love for terrible jokes. Sarah Loughlin’s Top 10 things to do around Italy’s biggest Lake. If I am totally honest, before visiting Lake Garda I thought it was just for older people, but after experiencing it first hand it really does have something for everyone. Whether you like lounging by the pool, learning about history, or trekking up mountains, you will find it all here. 2. Go on a bike ride along the lake – Bike hire around Lake Garda is great value, averaging about €6 a day, or €4 for half a day. 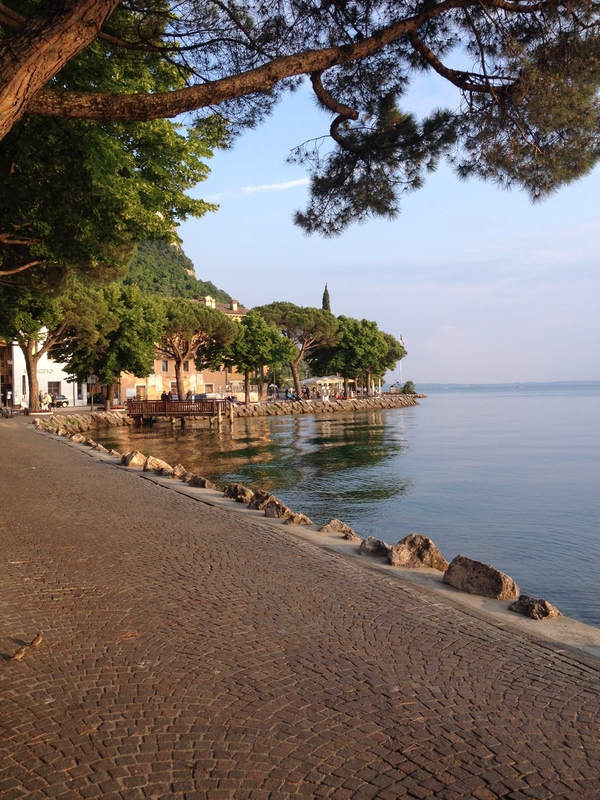 For a gentle ride to burn off your gelato go to Garda and back from Bardolino – it’s about a 30 minute round trip along the lake front. If you are after something a bit more challenging there are 400km of bike routes to choose from, so you will have no trouble finding something to suit your level. Download the ‘Garda App’ to your smart phone or pick up a bike map when you arrive to plan your route. 3. Learn about olive oil – The Turri family olive groves in Bardolino started in 1951 as the Fratelli Turri (Turri bros.) and they have been making olive oil for over 60 years. When Valentina, one of the Turri family, and our guide for the afternoon, told us the oil smelt of fresh cut grass and tomatoes I imagined it to be subtle hints. When she handed around half a shot glass full of oil and told us to slosh it through our teeth, I have to say I was unconvinced, but it really did taste of tomatoes. Whatever you do, buy some oil in the shop to take home with you. When I got back home and opened my supermarket olive oil I was disappointed to discover it doesn’t smell like tomatoes at all. 4. Have a nose around the shops – There are lots of small interesting shops in the villages around Lake Garda. Go to Desenzano for upmarket boutique shops, or Malcesine for winding cobbled streets with quirky shops selling everything from Italian leather shoes and bags to tourist trinkets. Also check out the outdoor market which travels around the lake – see http://www.lake-garda-revealed.com/lake-garda-markets.html for the market schedule. 5. Eat like a local – Here in the North of Italy it’s not just the typical Italian pizza and pasta to tempt your taste buds. Try a local dish with fish from the lake (Pike, Sardines or Trout), or if fish isn’t your thing try ‘Tagliata’ (sliced steak with parmesan shavings and rocket). 7. 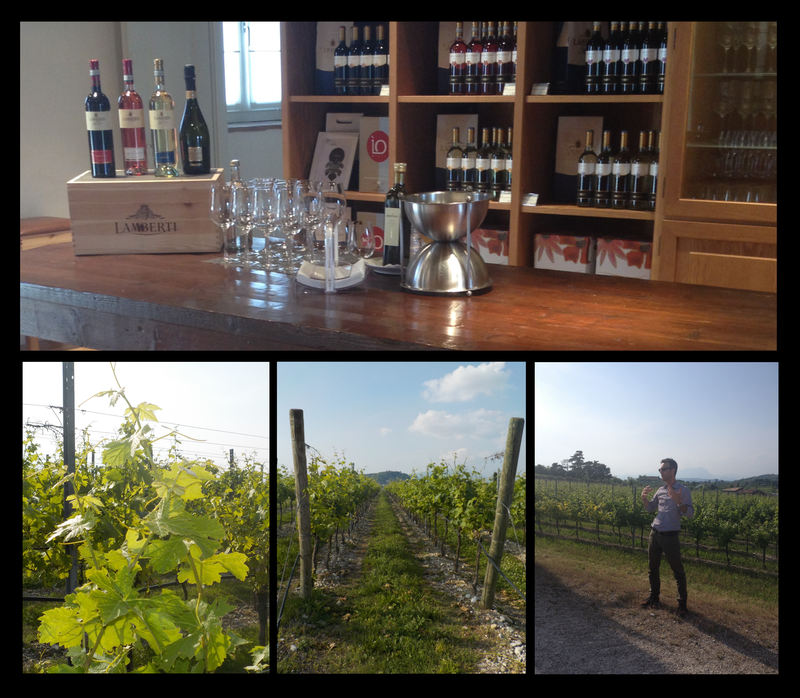 Drink like a local – There is no shortage of choice when it comes to local wines – After you have been on a vineyard tour I am sure you will be an expert – but just in case you don’t have time for the visit, here’s a lowdown on what to drink in Garda. If you like white, try ‘Lugana’, or alternatively ‘Bardolino’ comes in red or rose – made from a mix of grapes including Corvina, Robdinella and sometimes a bit of Merlot or Cabernet Sauvignon. Bardolino is a very light red wine, great as a refreshing drink on a warm day. 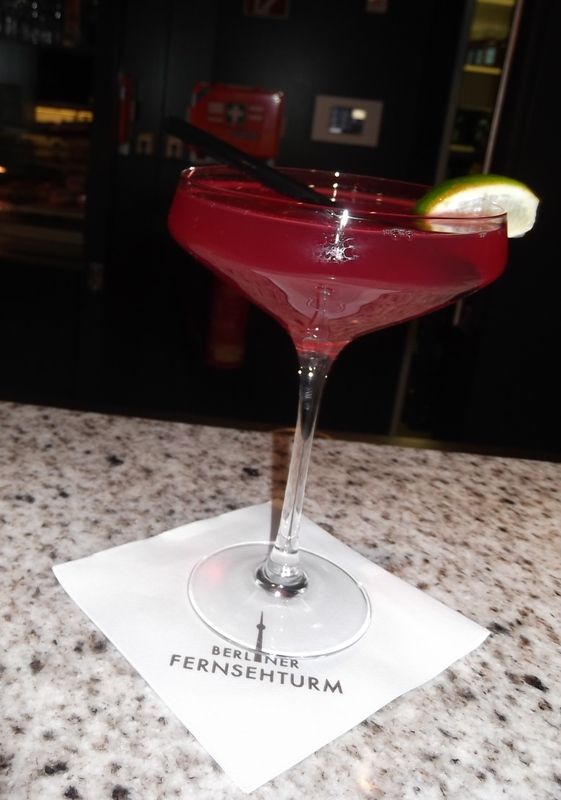 If wine isn’t your thing try a ‘Hugo’, this cocktail originated from the south Tyrol in Austria, and is a very popular drink in Lake Garda. Made from Presecco, soda water, mint, and either ‘Sambuco’ an elderflower cordial or St Germain Elderflower Liqueur. 9. See some live music – There is a lot on offer for music lovers around the lake. But if you only have one evening spare head to the Grand Hotel, in Gardone Riviera, directly on the lake front, this hotel is worth a visit in itself. Originally known as the Hotel Pizzoccolo, it has been open to guests since 1884 with many famous visitors over the years including Valentina Tereshkova, the first woman in space; Albert Sabin, who discovered the polio vaccine; and Sir Winston Churchill. The Whinnie’s bar was opened at the Grand Hotel in the 1990’s in memory of Churchill who, it is said, much enjoyed sipping his favourite champagne in this bar. The Whinnie’s bar has live music every evening (except Wednesday) from 9.30pm. 10. 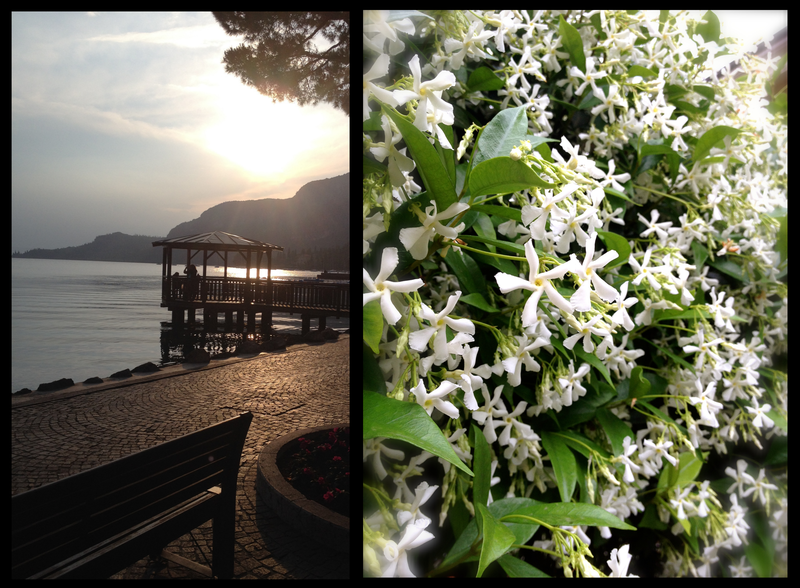 Stop to smell the roses – Well, white honeysuckle actually according to Google and my limited knowledge of flowers! This wonderful small white flower gives off a sweet but subtle smell which wafts its way around the lake. Make time for a nice stroll along the lake front or take a seat on one of the well maintained benches and just watch the world go by, a perfect end to an action packed trip to Garda! 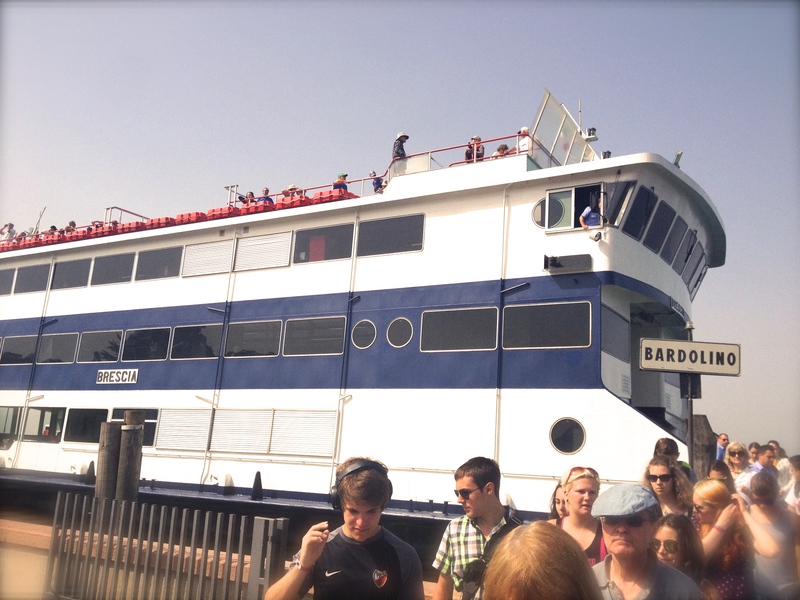 Depending on where you are going – the ferry is by far the nicest way to travel, and it’s very easy! The other option is the bus – not quite as reliable as the ferry, but cheaper! Airport to Verona centre via bus (€6 one way) takes 15 minutes and goes every 20 minutes. Once in Verona you can get to Lake Garda by either bus or train (the train is a better option if you are arriving later because the last train is after 9pm, and they start again just after 5am). The local bus goes to other towns around the lake from Verona but can take about 3 hours depending on where you are going. Other options would be car hire or hotel transfer. Sarah Loughlin takes part in some of the local culture in the home town of the famous composer. Hammering the spike further into the barrel, he starts to decant the beer into large heavy stone mugs. The froth gushes over the rim as he slides it across the counter. 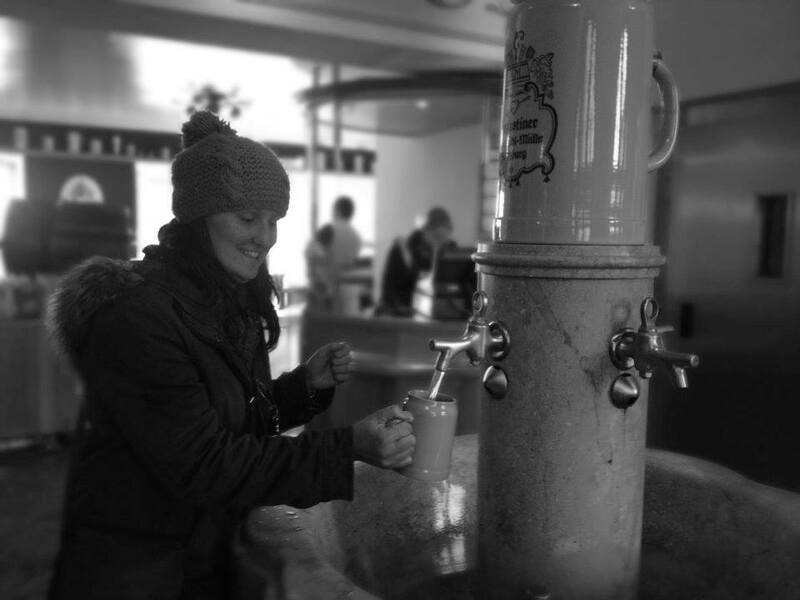 Local Austrians bustle through collecting their steins and washing them under the golden taps of the huge fountain in the middle of the room, before getting them filled to the brim with the cold, golden liquid. This is the Augustiner Bräu Kloster Mülln, a brewery started by monks in 1621. Collecting our beers we make our way into one of the halls and take a seat at a large wooden table. There are a real mix of people here: groups of locals in lederhausen, couples, tourists, old men with their own beer mugs and only their dog for company. People appear quite happy to come here alone; so there is plenty of opportunity to chat to people. On our table we meet an Italian who used to live in Salzburg and now works in Shanghai, here visiting old friends. Later we talk to a local engineer called Marcus who tells us about spending his spare time at the mountains and lakes nearby. Seeing people wander in with plates of food we decide to look around. There is a long corridor with stalls selling traditional Austrian cuisine, bratwurst, pretzels, all the meat and all the cheese you could ever want; as well as one stall that appears to sell boiled eggs and prawn crackers. ‘No, no’, corrected Marcus, ‘that is horseradish. We eat it with the meat’. Re-filling our mugs we sit down to soak up the atmosphere, people laughing and joking over huge plates of food and drinks. Marcus explains about the plaques that we have noticed, fixed all over the walls, covered with different scripts and styles. Any group that meets here regularly can assign themselves a table, and receives a plaque with their club name nailed next to their allotted meeting space. He continues to tell us about the history and traditions the of the city, the culture of music and the famous composer that once called Salzburg home. Mozart. ‘If you are interested in music there is somewhere you have to visit’, says Marcus excitedly, ‘give me your map I will show you where to go, it is about 30 minutes walk away, if you leave now you could make tonight’s showing!’. Quickly finishing up the last of our beer and pretzels we were sad to be leaving as it seemed the atmosphere would only improve throughout the evening, but we had a concert to get to! 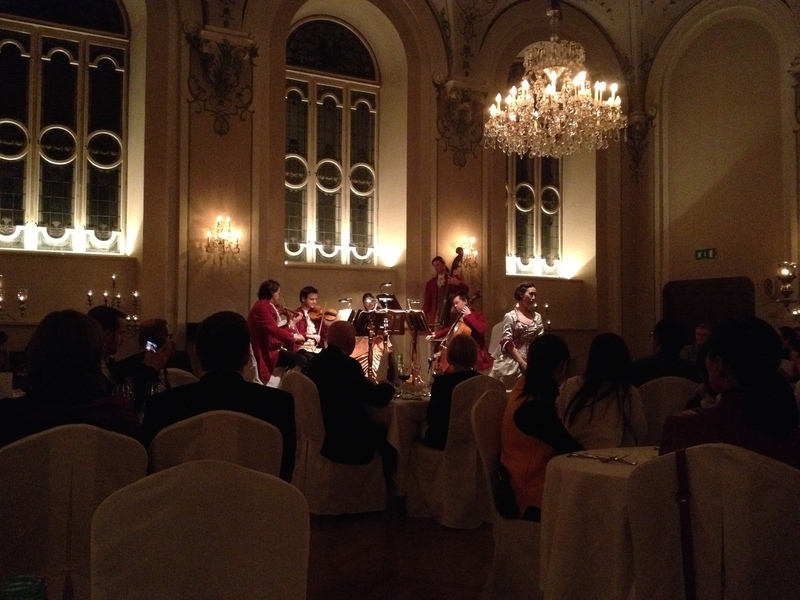 St. Peter Stiftskeller, the oldest restaurant in Europe, offers candle lit, three course dinners accompanied by a concert of Mozart’s work. This beautiful building in the Old Town can be found tucked away in a courtyard just off the DomPlatz. As we take a seat in the grand, vaulted room decorated with chandeliers and gilt candle sticks, we order drinks and wait for the other tourists to fill our table. Joined by an Irish family and a couple from Lithuania we chat excitedly about our day in the city, swapping hints and tips of where to go next. The lights drop down and the musicians in period dress take to the stage. As the violins strike up everyone falls silent. The five-piece orchestra are joined by two opera singers and soon the whole room is mesmerised by their beautiful classical songs. Between each of the three courses they take to the stage again playing highlights from Mozart’s classic operas. The atmosphere is truly magical, with food to match; desert is served with a chocolate silhouette of the man himself to accompany the grand finale. When I look at the drinks bill I almost spit my Gin and tonic all over the finely laid table, but I have to say, even at over €10 a drink, it was worth it. We finish the evening with a walk through the old town, taking in the evening air along the Salzach river. Close to the old town – this means you won’t have far to walk in the evenings. Be careful – most things are closed on a Sunday so check opening times. Tired of walking? 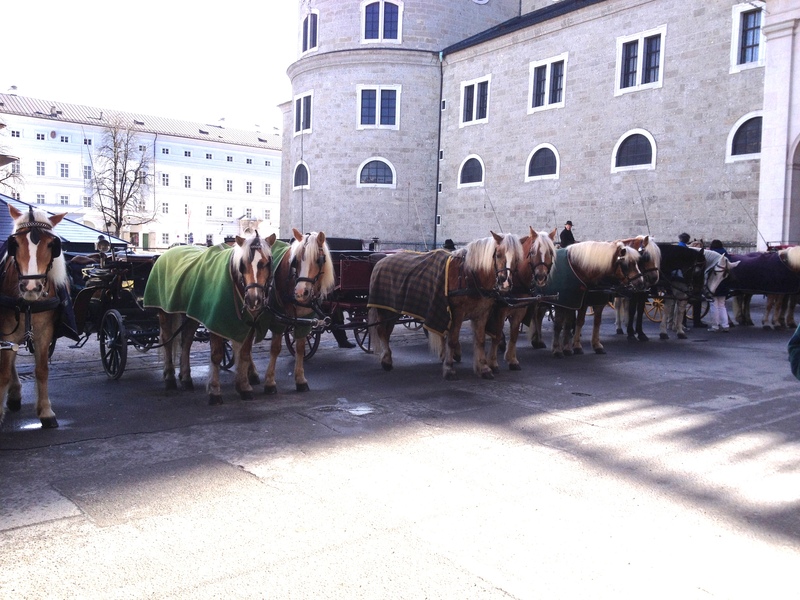 Take a horse and carriage trip through town from one of the locals. Sarah Loughlin spends a week in French ski resort La Plagne, learning about charity DSUK and their disabled activity holidays. Having been a competent skier from a young age trusting someone else to guide me down the busy slopes of La Plagne took a fair amount of convincing. After being strapped in to the ‘sit-ski’, which could be described as a wheelchair on skis, we set off towards the chairlift. I had been skiing with instructor Careen and a young sit-skier Bryony for 2 days, helping Careen lift Bryony on and off the chairlift, so it was an odd sensation to be lifted on my self. Matt, a fellow DSUK helper, was using me as a crash test dummy on his first ever attempt to ‘bucket’ the sit-ski down the beginners run outside our hotel. Sit-ski’s are used for skiers with all sorts of disability and can either be ‘bucketed’ where the skier is guided using a handle on the back of the ski, ‘teathered’ which gives the skier more independence with the instructor using two lengths of rope attached to the ski to support them, or the sit-ski can be used completely independently if the skier is able. As we set off from the top of the slope Matt sounded nervous. Careen assured me that, even if Matt drops the ski, as long as I keep my arms tucked in I’ll be absolutely fine. So as Matt guided us down the slope calling out the turns as we wove left and right through the other skiers, I concentrated on my two jobs: turning my head at the right time and keeping my arms safe inside the ski. As Matt and I carved through the snow, working as a team to move the ski, I began to relax and enjoy the ride, it was a lot lower to the slope than being a stand up skier, and because you don’t move your body as much I began to get a little chilly, but it was a lot more enjoyable than I had imagined and I can understand how sit-skiers become totally addicted and come back year after year. 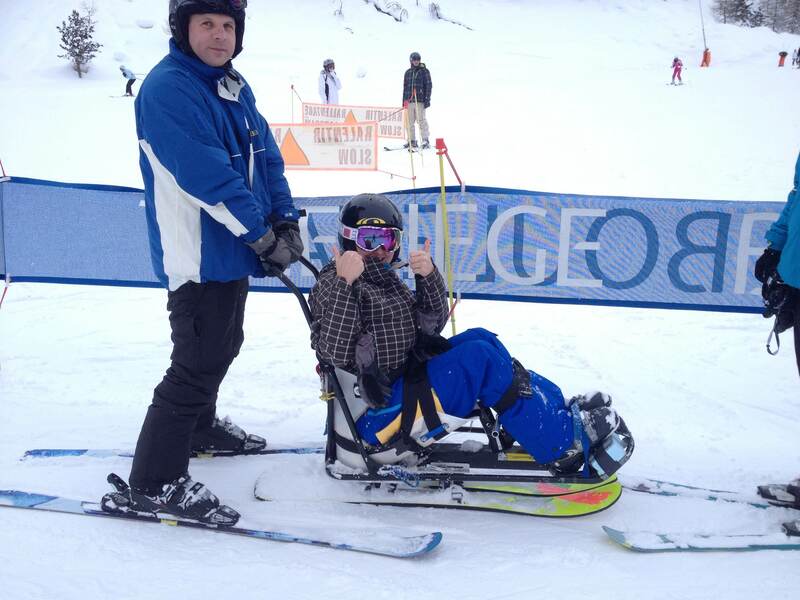 One sit-ski addict, who has been skiing with DSUK for almost 20 years, is Sarah. Being more experienced than either Bryony or I in a sit-ski, Sarah had moved on to being ‘teathered’ by Careen and could ski blue slopes using ‘fixed out riggers’, which are a small ski either side of the sit-ski allowing it to carve from side to side with out falling over. I watched amazed as Sarah cruised down the mountain, and controlled the ski with only small movements of her head and slight leaning of her upper body. It was certainly a lot more graceful than my descent down the slope after her on my skis, trying to keep up. As a group of 25 or so people including, skiers, helpers, instructors and carers or family members it took a lot of organising for everyone to do things together. Despite that we all ate together and socialised in the evenings, it was a great opportunity to chat more to the skiers and their families, catch up on everyone’s skiing progress and hear the stories from the day. Standing between an Escalade and a Hummer, I flicker between wanting to laugh hysterically, and die of embarrassment. If only the game of Rock Paper Scissors had gone my way, I would be standing where my sister is now. On the other side of the car park, excitedly waiting for the food our pitiful casino winnings would buy us. It’s another warm evening in California. The area around the Los Angeles Greyhound bus station is miles removed from the outrageously lavish architecture of the Las Vegas Strip, our home for the previous week. Just a few blocks from the infamous Skid Row, this is the part of the Golden State that they don’t advertise. People shuffle along the sidewalk in ragged clothes, between the run-down buildings, while some huddle in shadowy doorways. I can’t help wondering how they ended up here. We had been on the Greyhound bus together from Las Vegas for 8 hours and we were ravenous. Our connection to San Diego wasn’t for hours. After walking for a block or two, our eyes lit up as we rounded the corner and saw a fast food joint. Approaching the doors excitedly discussing what we should order I noticed that the restaurant was strangely empty. I pulled the door towards me, but it wouldn’t budge. It was locked. At this point the only way we were going to eat was to stand in the drive-through queue with the cars and hope for the best. After ordering into the microphone I walked up to the window to collect the order. Thinking, why do I always pick scissors? Sitting in the Greyhound station with our long-awaited food we started chatting, as we usually do, about what to see in the next town. Over the last month we had travelled all over California, spending what we had saved from our student loans on $1 burritos and lounging on the beach. As usual our strong English accents had attracted the attention of our fellow passengers. It transpired Charlene from Texas had been visiting family in California and was on her way home. After the usual pleasantries I attempted to go back to my guidebook and fried chicken. No such luck. I sigh inwardly, and almost roll my eyes. I stop myself when it occurs to me that everything I think I know about Americans, apart from the people I have met here, is from television. And it must be the same for them. I went on to explain to Charlene that although England was a small country, not everyone was invited to the Royal wedding, and unfortunately we were not all descendants of Diana Princess of Wales. ‘You don’t know Pat O’Brien’s! What have you been doing here all this time!’ Says Marci as we are seated on a cosy table not far from the Duelling Pianos. ‘Two Hurricanes please!’ she calls to the waiter over the bustling atmosphere of the bar. I stop to take in the audience, chatting away and enjoying the performance. Music lovers in the crowd note down their favourite songs on a napkin and pass it to the front to be played, the musician’s jest that they don’t know the song before breaking into a jazzy NOLA rendition, just for us to hear. Again it occurs to me that before that evening the only things I knew about New Orleans were from the UK media. 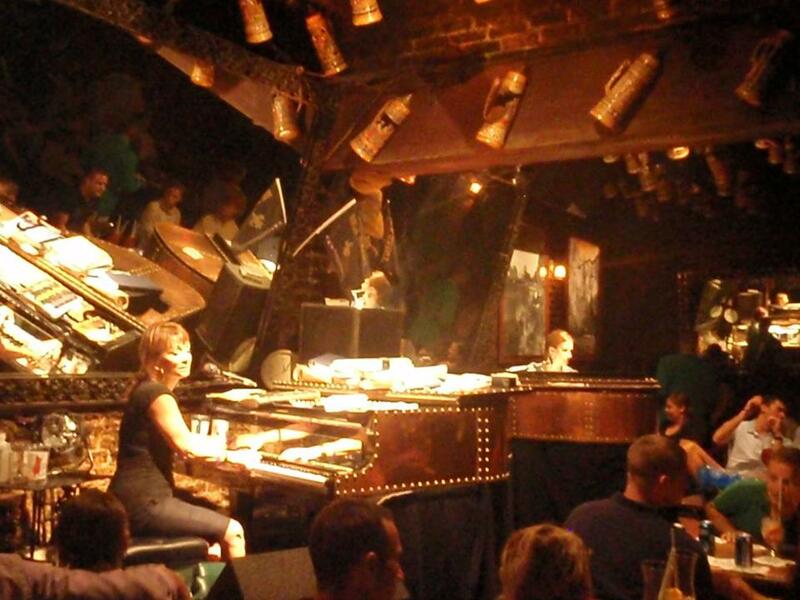 In my head ‘Hurricane’ and ‘Louisiana’ would make me think, ‘Katrina’, rather than ‘the jazz bar off Bourbon Street’. In that moment I know that the next time a friendly fellow traveller makes an un-informed snap judgement or makes what seems to me like a silly remark, I will ask myself, ‘what do I know about their country? Could I point it out on a map?’ I bet 9 out of 10 times I probably couldn’t. I turn back to Charlene and offer her one of my now cold and slightly soggy chips, or fries to the locals, and I ask her what sort of food her home town is famous for; just one traveller educating another. Its 4am, my transfer coach leaves in 45 minutes. I stand in the kitchen of my sisters hotel, scoffing cold left over noodles. Desperately trying to sober up before I prepare to sneak back into the hotel room and pretend I have been there for hours. ‘You stink’ mumbles my dad half asleep, I continue to enter the room about as subtly as one can after several jagerbombs, ‘and you haven’t packed. We leave in half an hour’. This came about after months of crackly drunken calls from my sister on the way home from another amazing night out in Obergurgl, she was there working in a hotel for the winter season. ‘I just had 4 pints and then went night skiing and danced on tables, they were on fire!’ she screams down the phone at me. This was something I had to see. Having always skied in France as a child, I was largely unfamiliar with Austrian resorts, let alone the crazy après parties they are famous for. Now with litre of beer in one hand and a shot of tequila in the other we are merrily swaying around in our ski boots waiting for the ski show to start. Every Tuesday evening in Obergurgl there is a Ski Show and fire works followed by night skiing. I had been to this sort of thing before but nothing could prepare me for the amazing event I was about to witness; what appears to be a small child races down the mountain on their skis over what look like snowy steps and then jumps through a ring of fire. ‘We have to try that!’ I merrily exclaim. The next day, with the moun tain air slowly clearing my hungover fuzzy brain, we meet up with Johan our ski instructor, ‘so you want to try the steps, huh?’ As he says this I am massively regretting saying yes to that final stein of beer. ‘The trick is to relax your legs’ Johan explains as he takes on the steps with ease, gracefully stopping at the bottom. It’s another beautifully clear day at the top of the mountain, and the sun glistens off the snow. I can hear the wiring of the gondola as it unloads excited mountain goers. Deep breath, and down I go. I point my skis at the steps, inside my head Frankie goes to Hollywood is singing encouragingly ‘Relax, don’t do it, when you want to go to it…’. Suddenly my legs have a life of their own, I have made it half way down, my skis are gliding rhythmically over the snowy mounds. I open my mouth to celebrate my successful descent a minute too early, and slide the remainder of the way on my back, collecting snow down the neck of my jacket. As I lay there on the cold refreshing powder, I can’t help thinking that I should have stuck to the après.